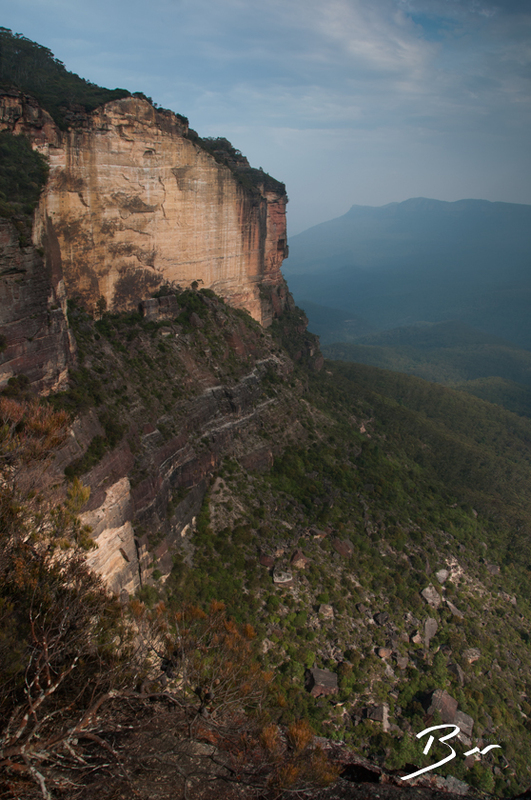 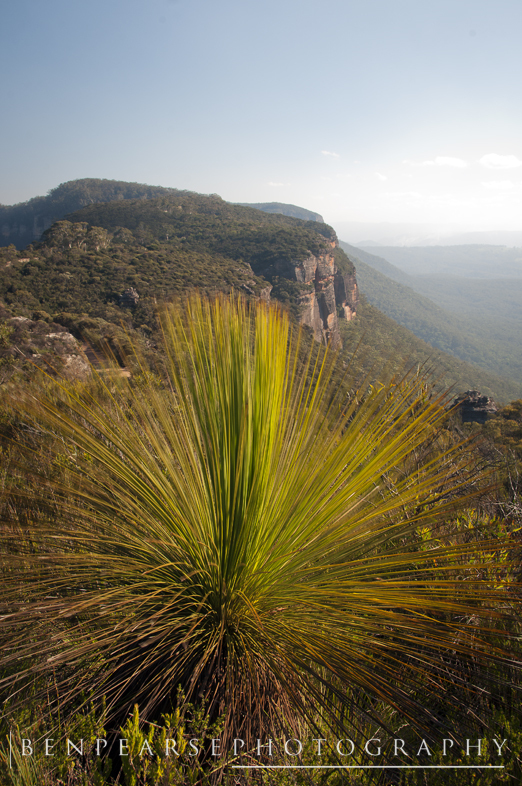 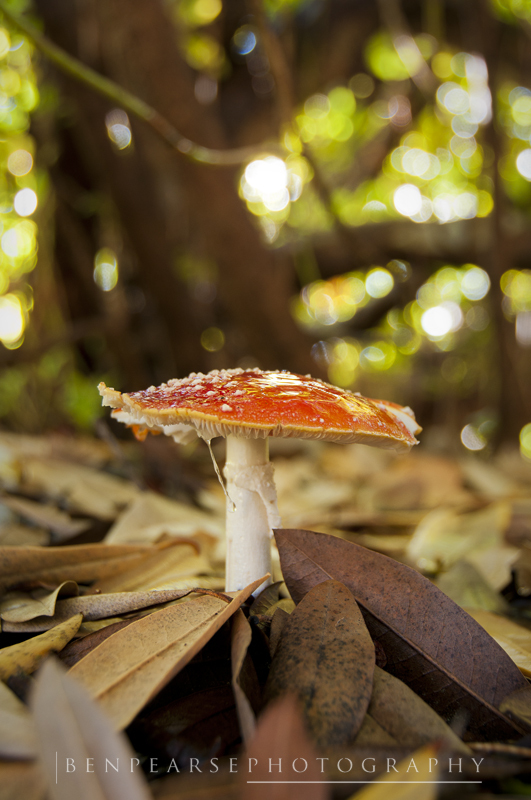 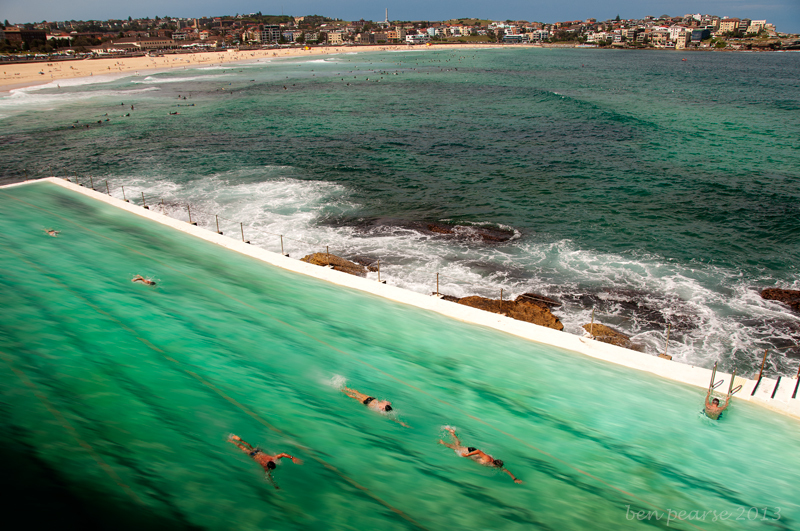 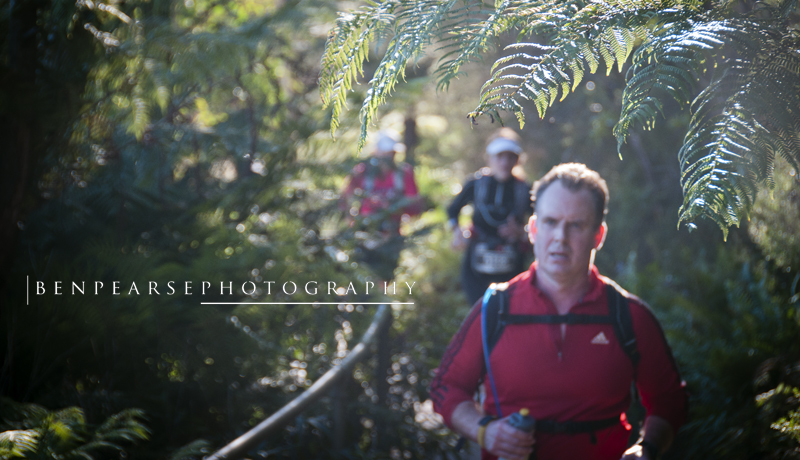 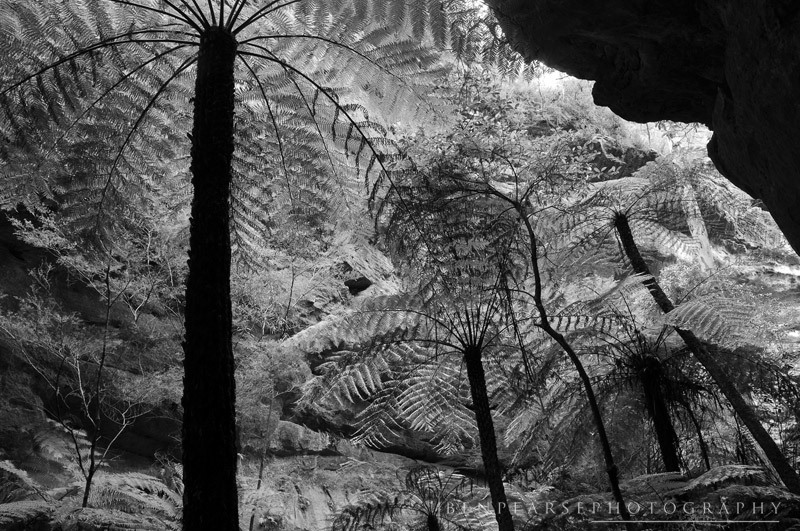 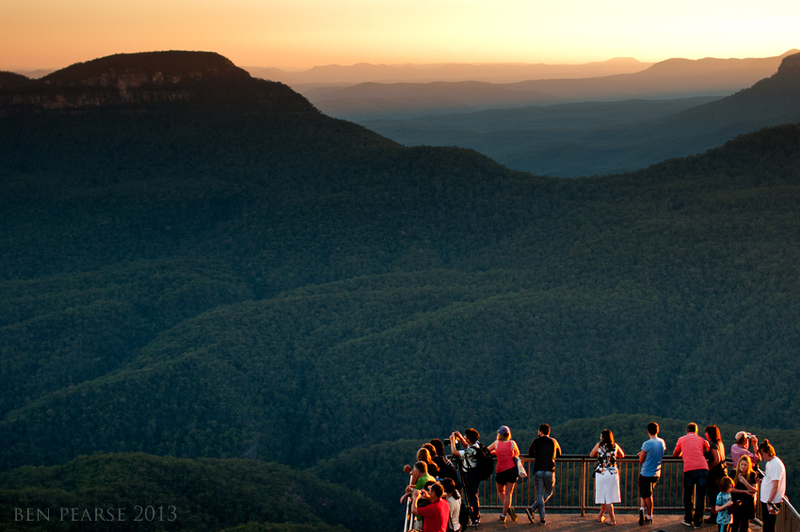 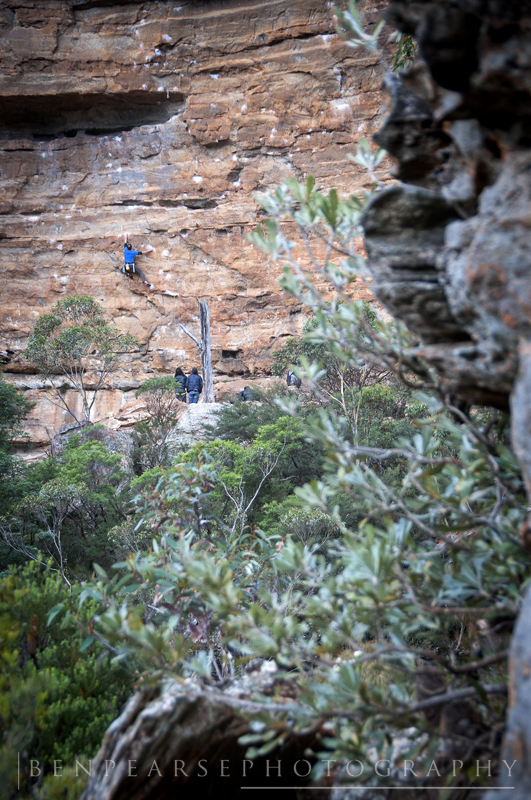 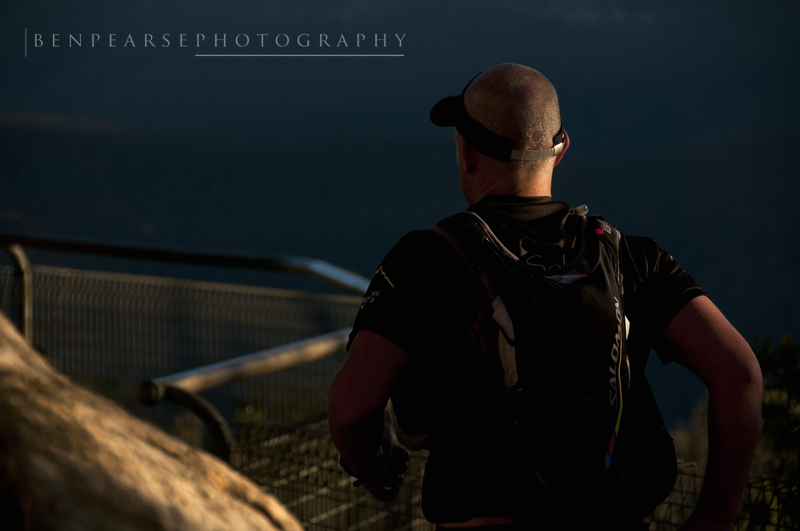 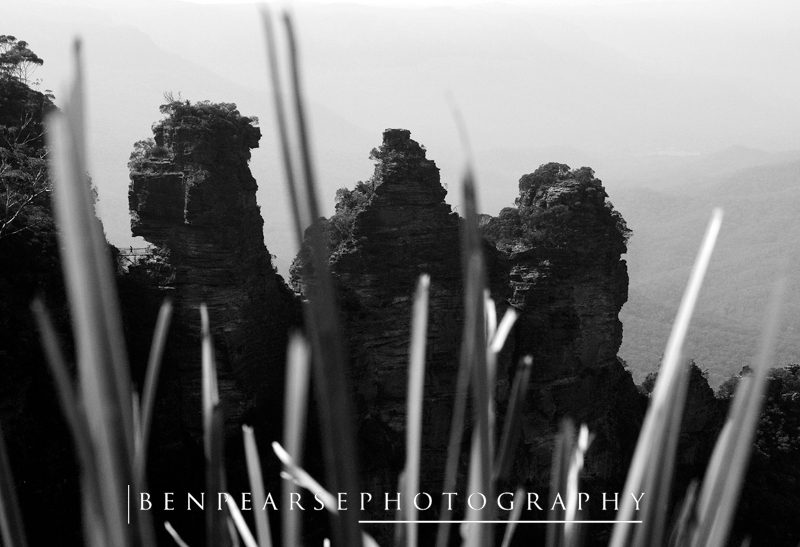 Photographic journey of the Blue Mountains in Australia and beyond…. 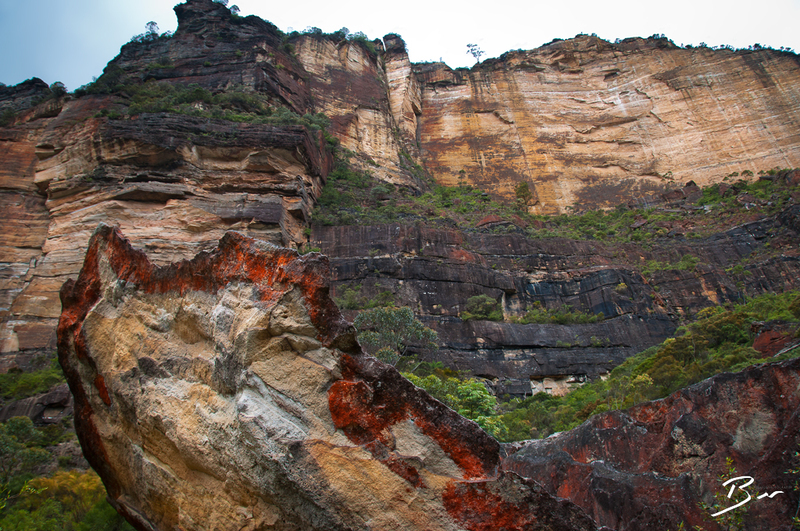 Dogface & Landslide, Blue Mountains, Australia. 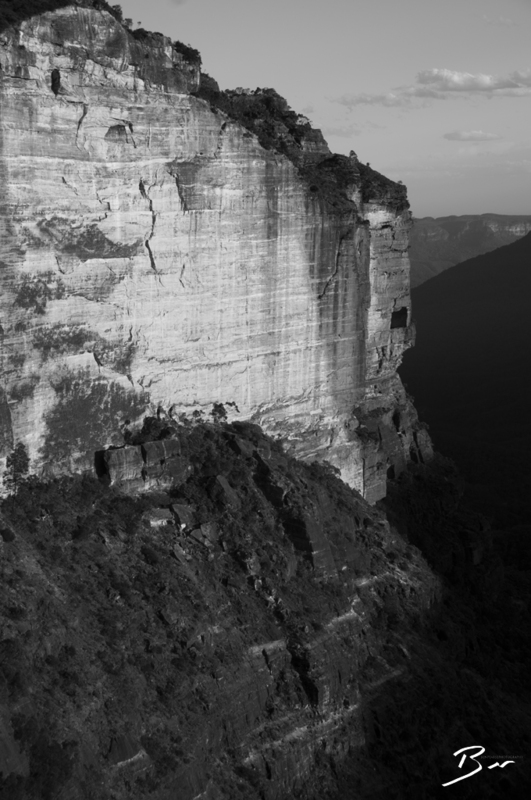 On January 26, 1931 a large fissure of rock (Dogface) some 5 to 9 feet wide separated itself from a section of Katoomba cliffline creating a large semi detached rock precariously poised over the jamison valley. 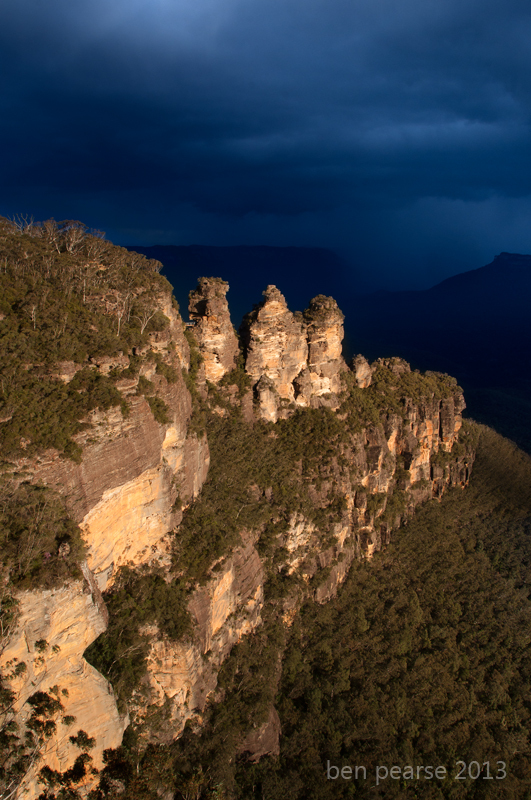 A short time later on January 28, local residents were awakened at 4am as some 100,00+ tonnes of rock hurtled and crashed into the valley floor creating a thunderous sound. 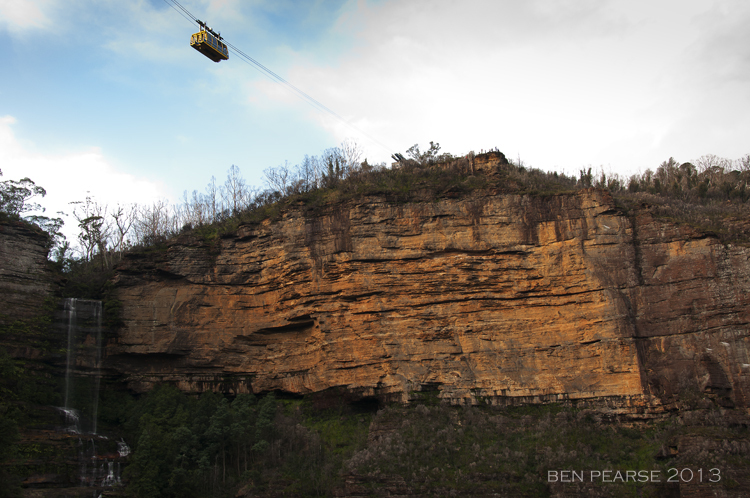 A surveyor inspected “Dog Face Rock” in February and found a canyon like formation some 30ft wide and 300 feet deep. 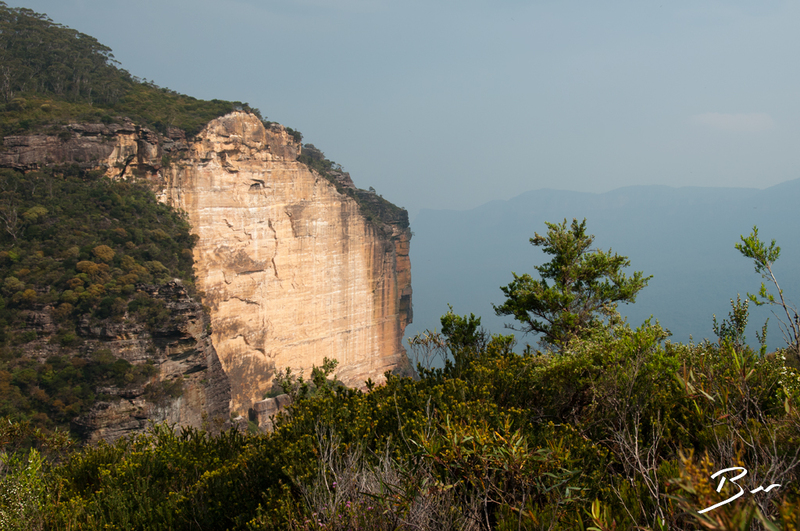 The “Dog Face Rock” as it became known became a very popular tourist destination in the ensuing months bringing sightseers from across the Blue Mountains as well as interested tourists from Sydney wanting to view this intriguing landmark of collapsing cliffline. 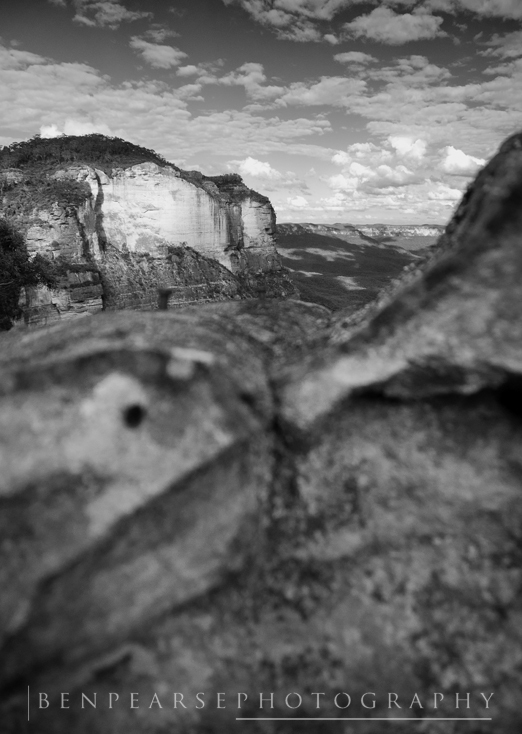 As a result of heavy rains in May 1931, the final landslide occurred on the rock face which left behind a clean sheer face of yellow sandstone which you see today. 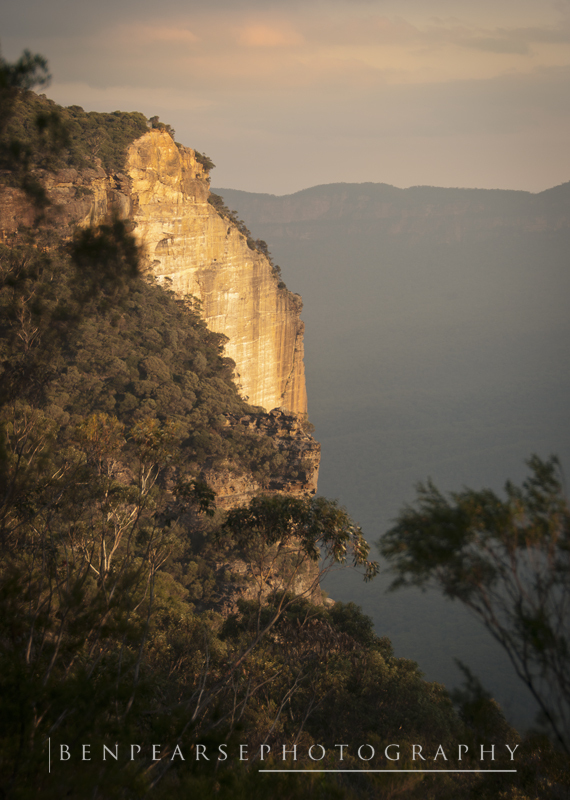 In the 1960’s the late John Ewbank a pioneer of Australian climbing began establishing rock climbing routes on this notorious soft and yellow rock, often in climbing terms referred to as “Choss”. 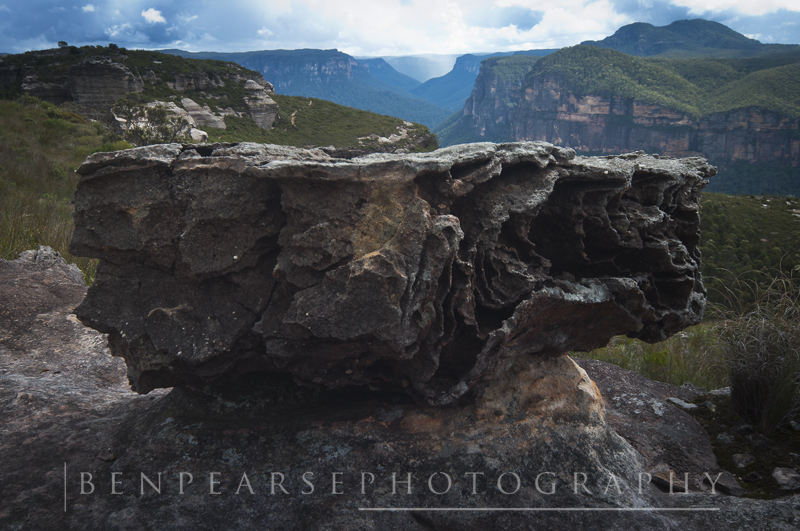 Having myself rock climbed on the “Dogface” in the 1990’s I feel a strong connection to this unique landscape scene in the Blue Mountains, Australia. 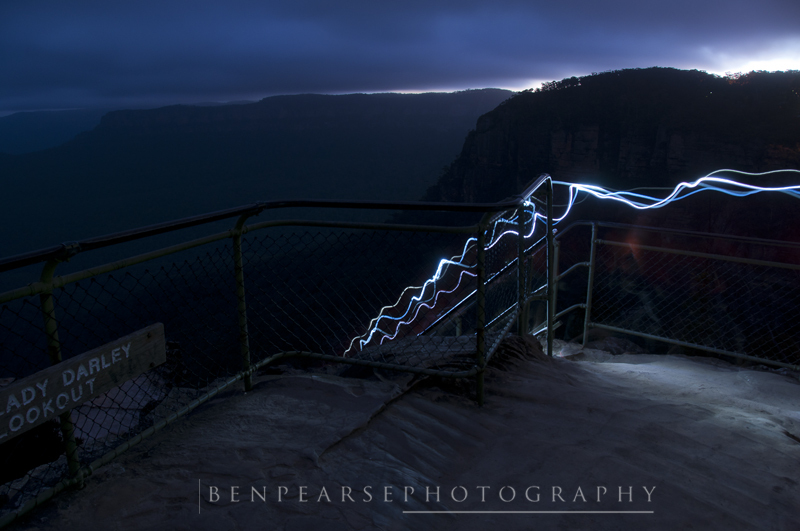 Over the last few years I have endeavoured to capture this iconic landmark at varying times of the day and with differing accompanying moods. 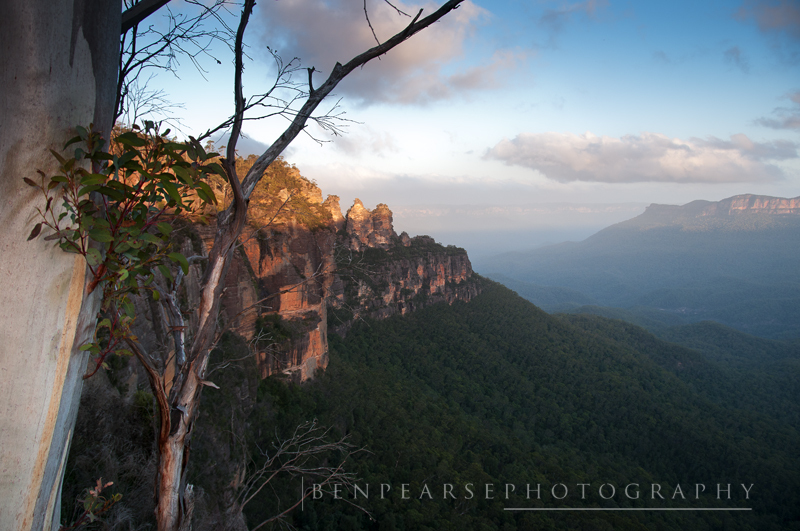 Here is just a few of the many photos I have captured of this beautiful Blue Mountains scene. 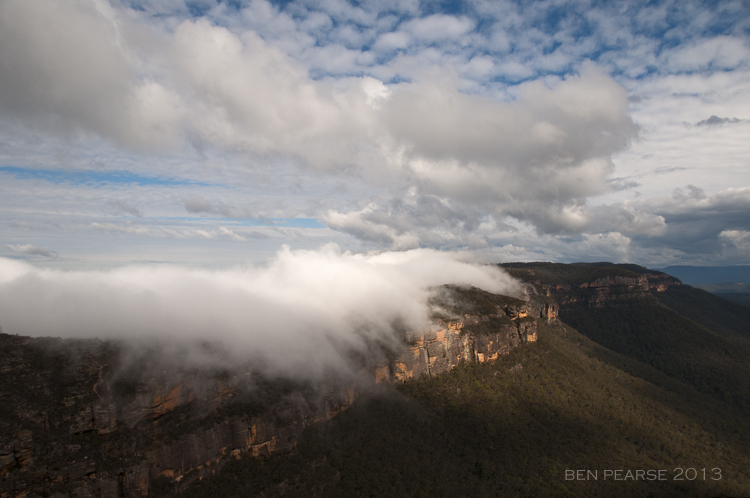 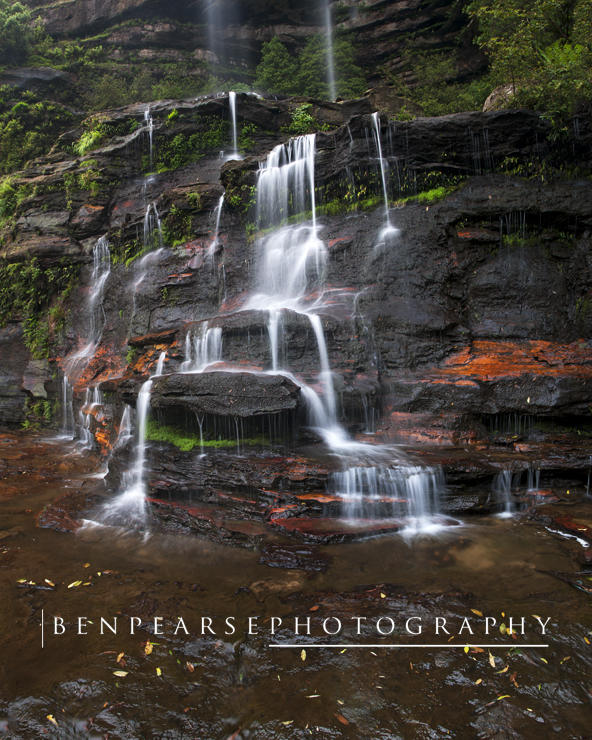 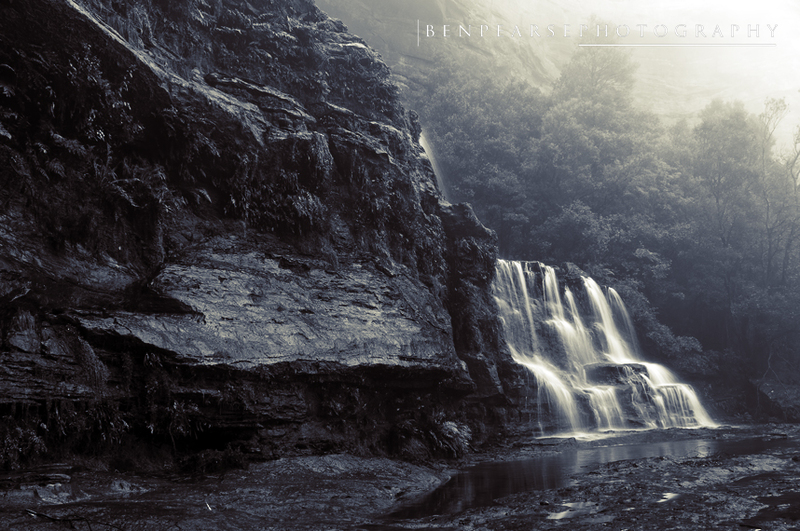 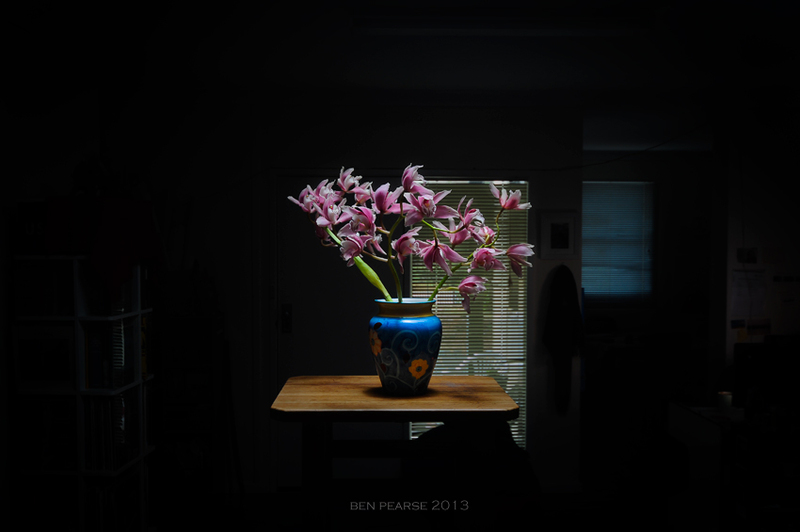 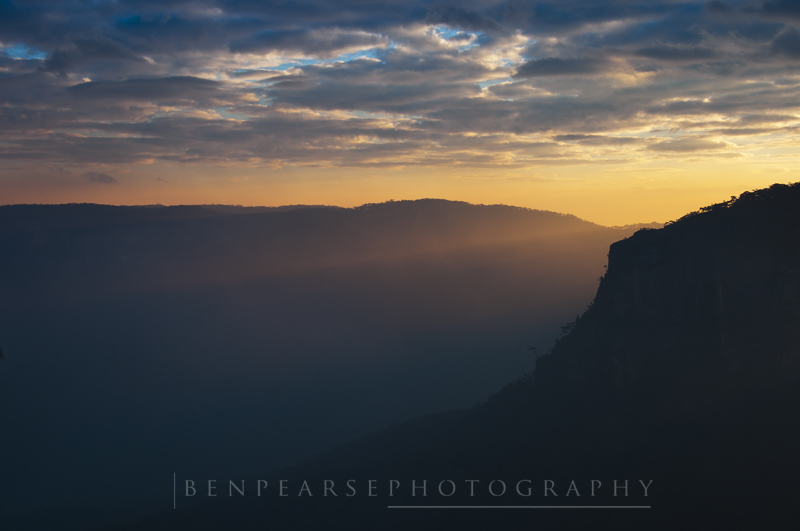 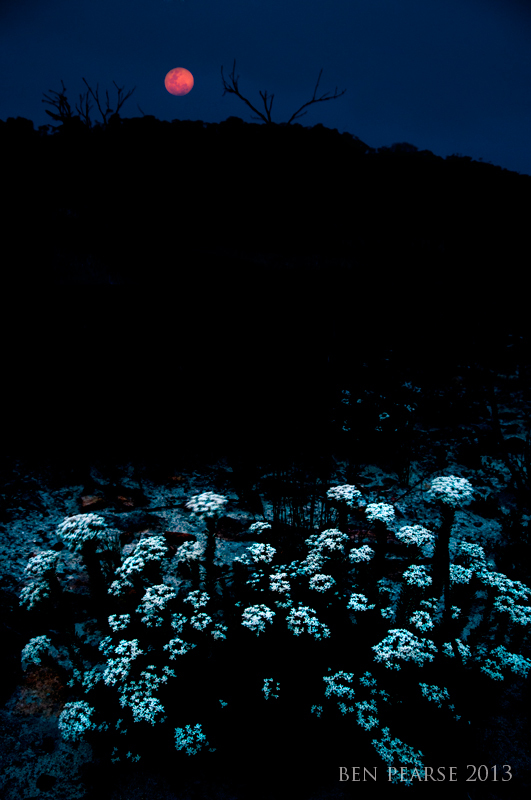 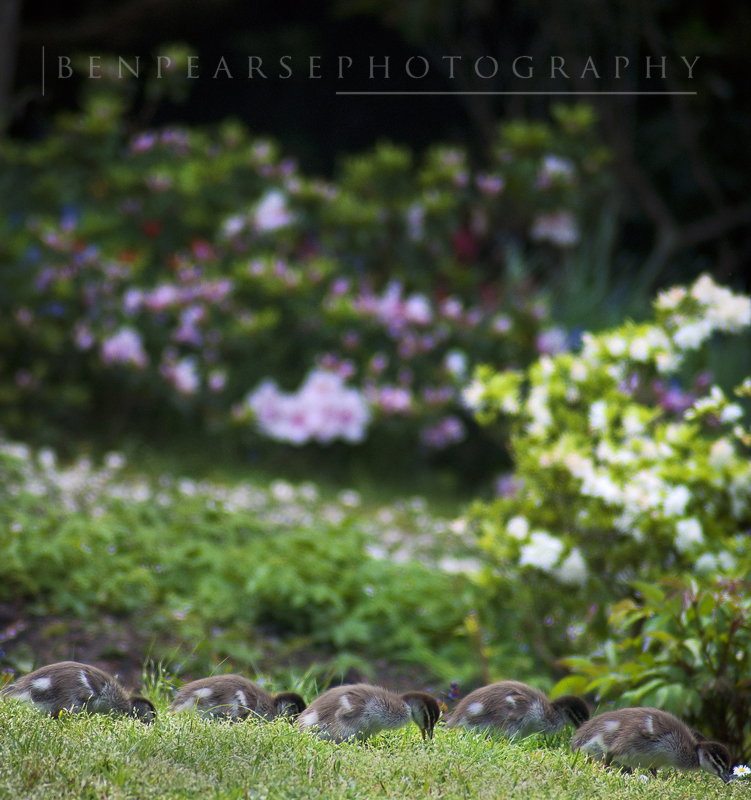 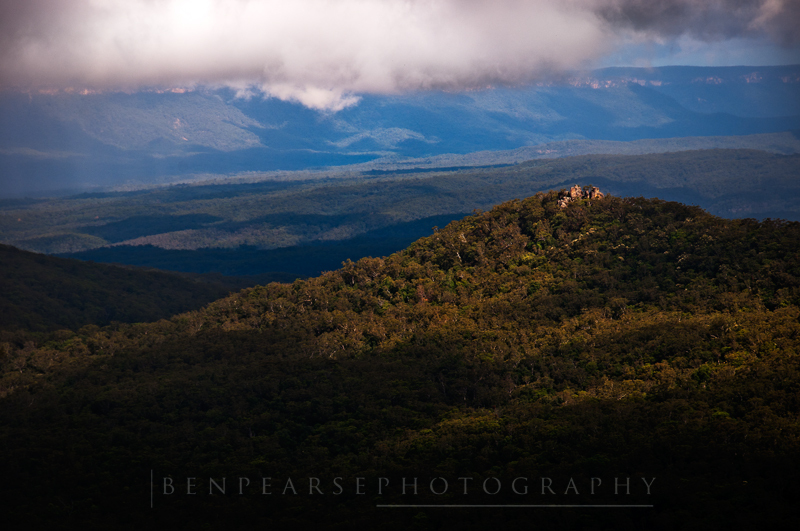 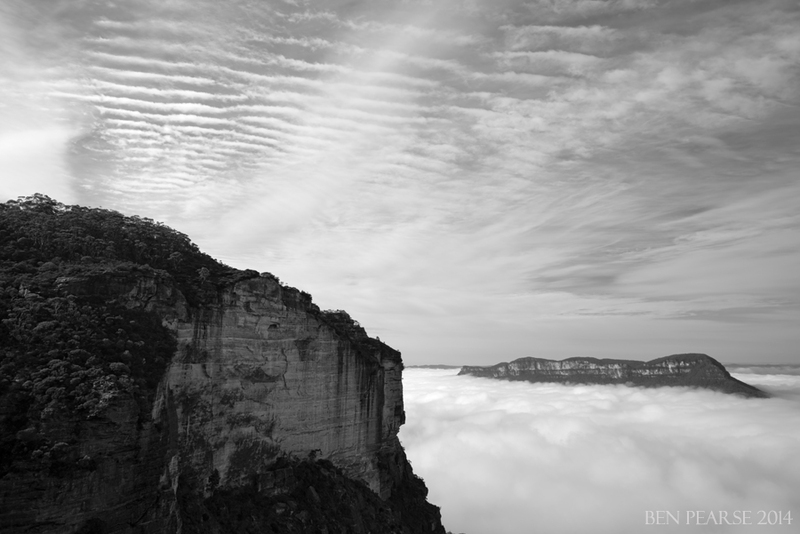 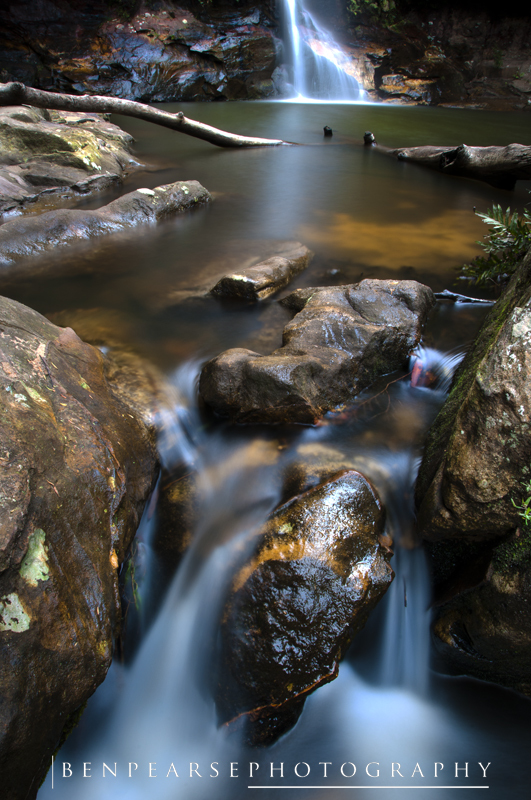 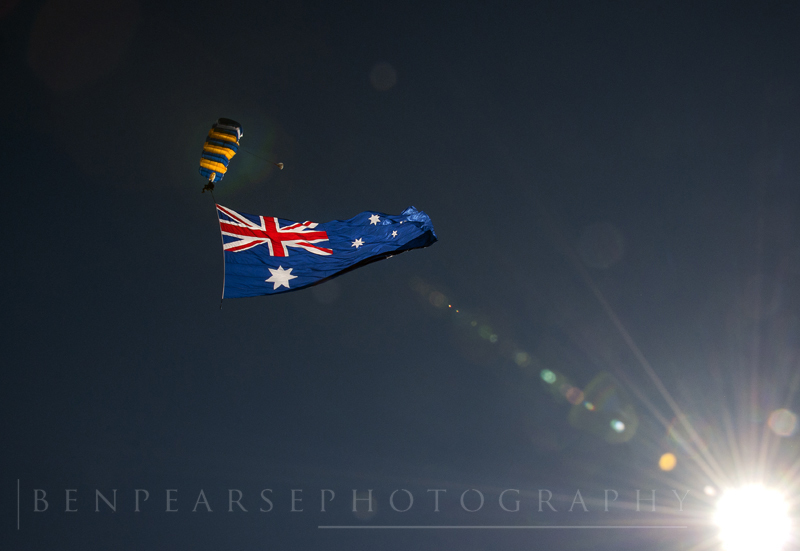 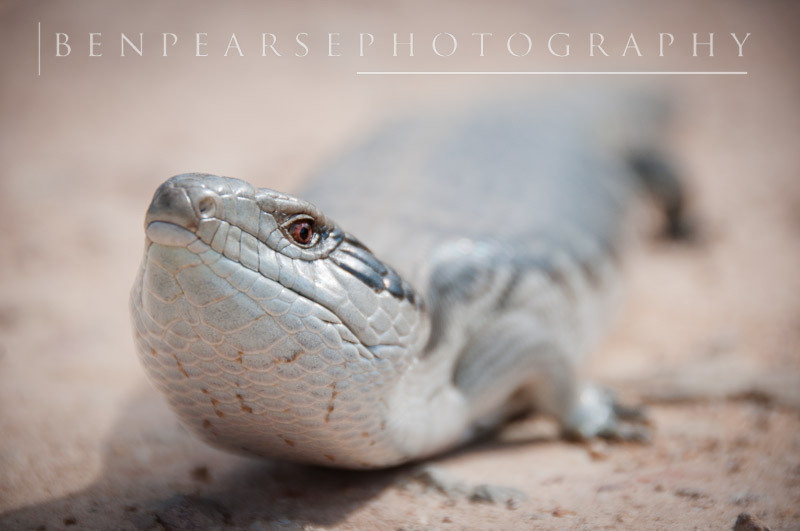 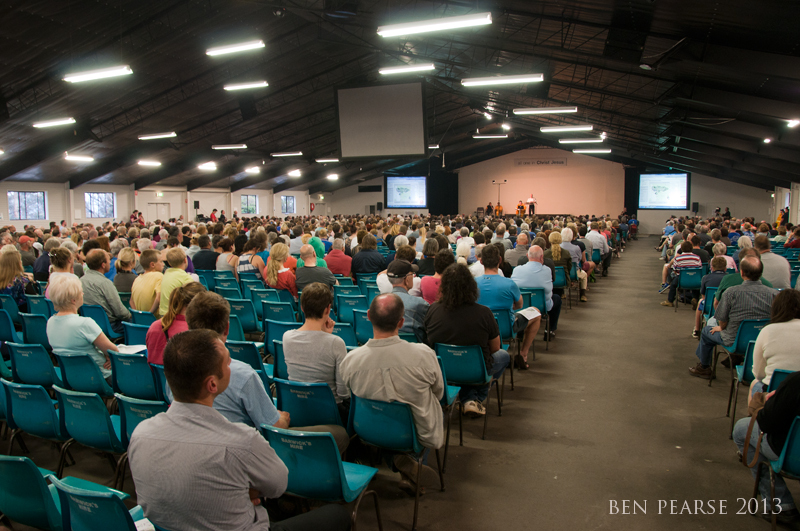 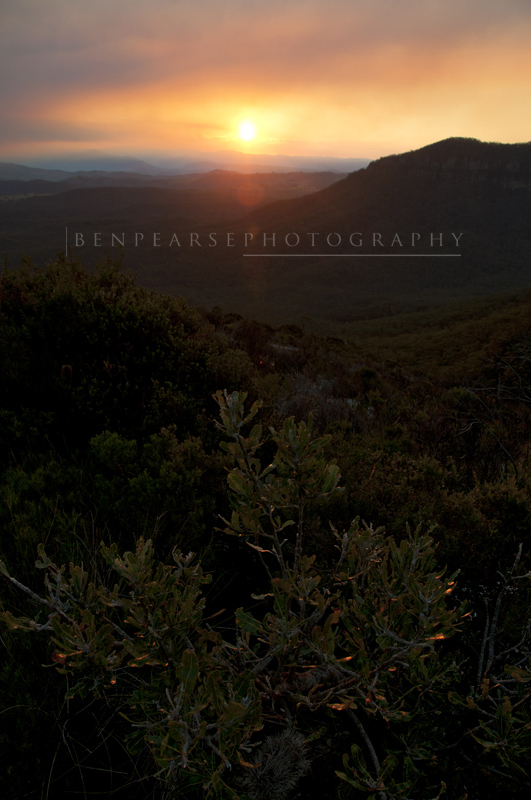 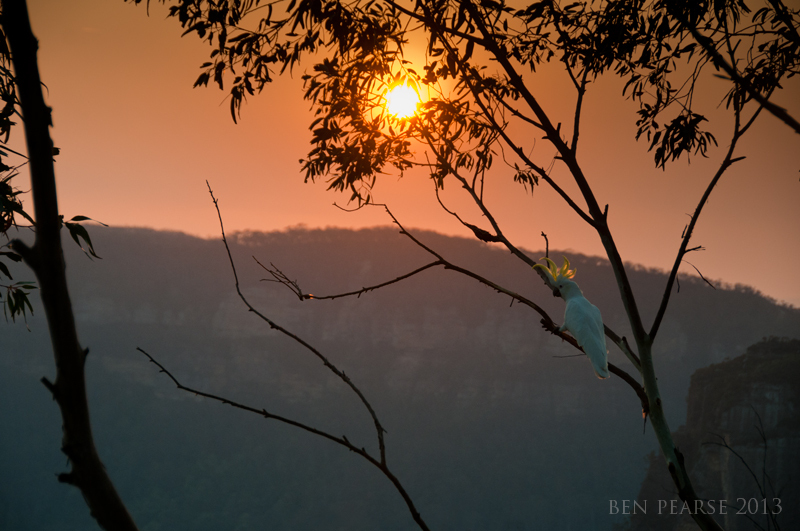 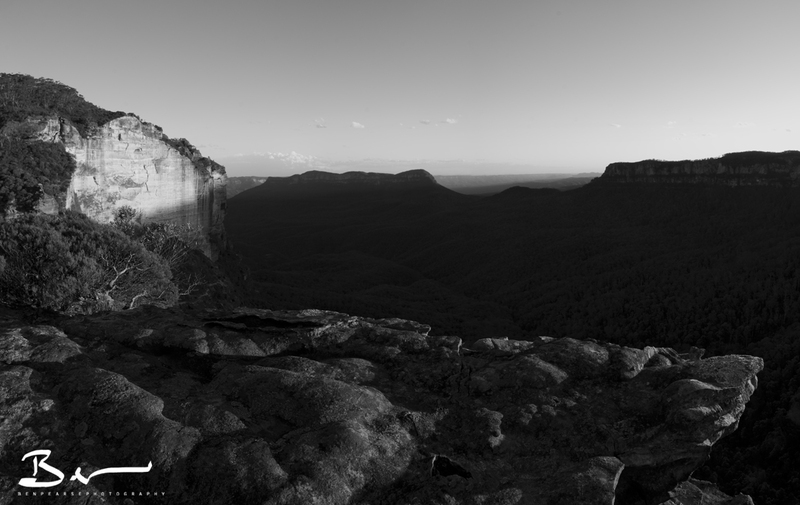 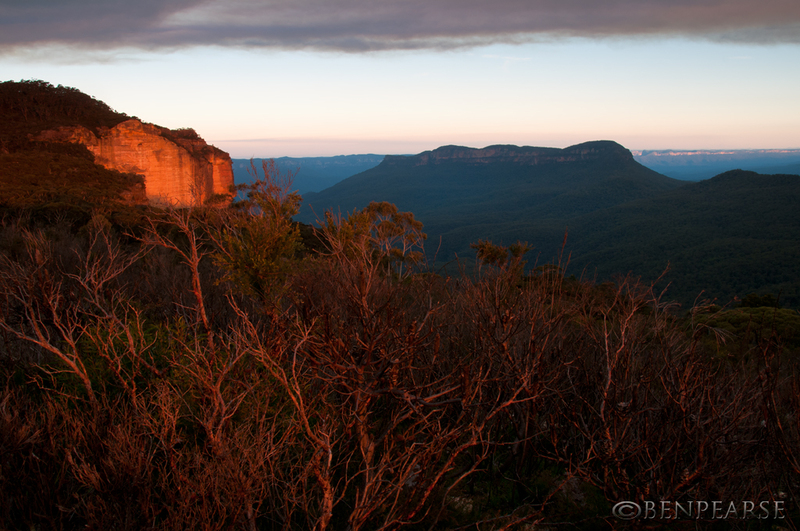 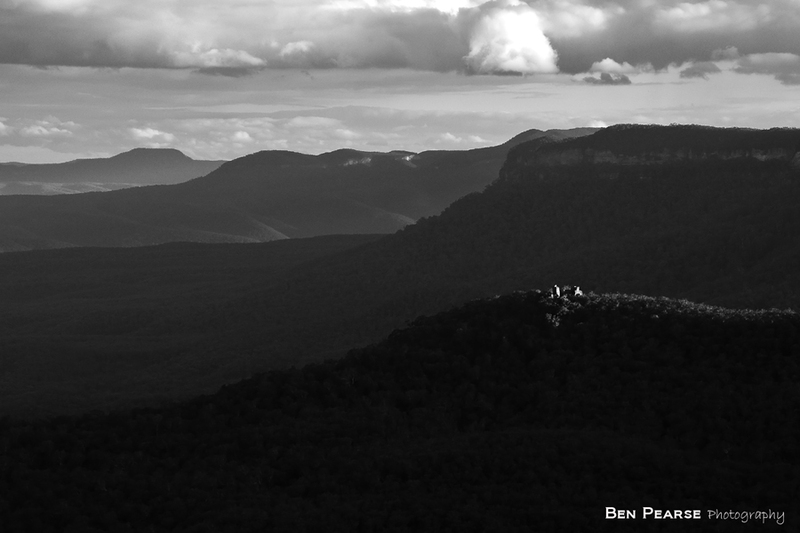 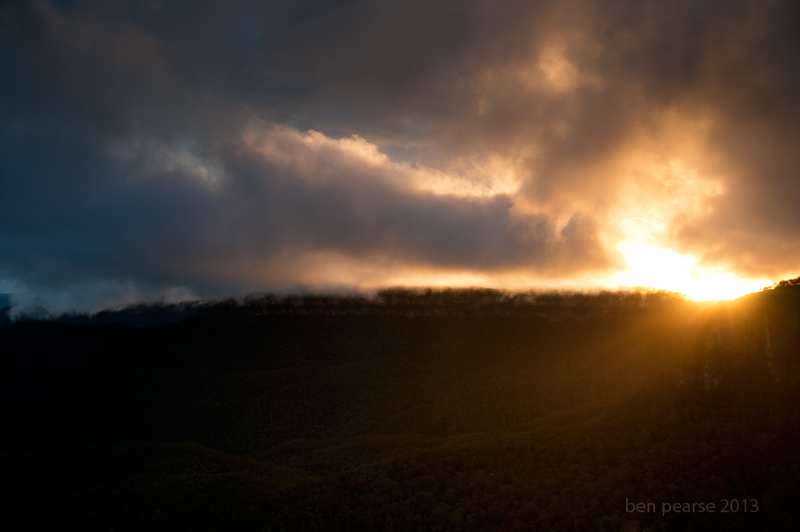 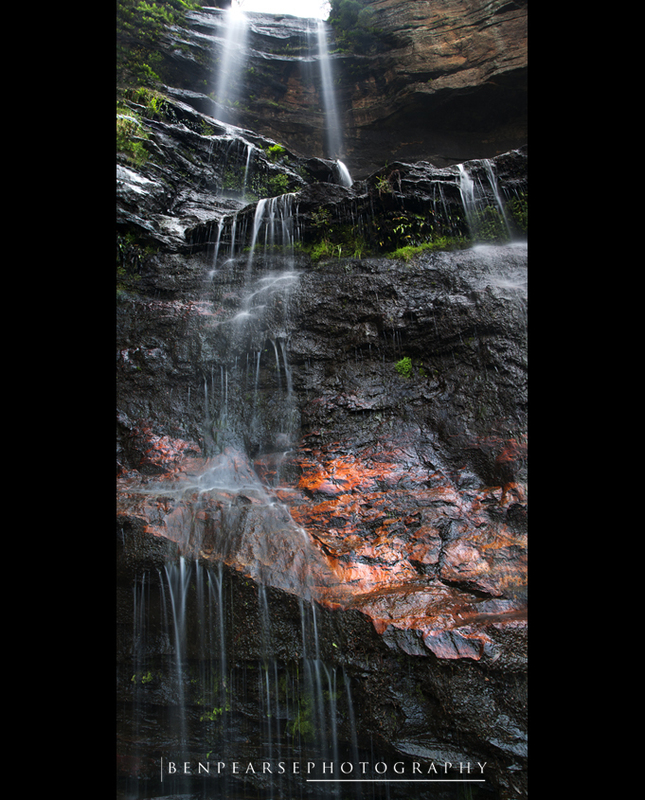 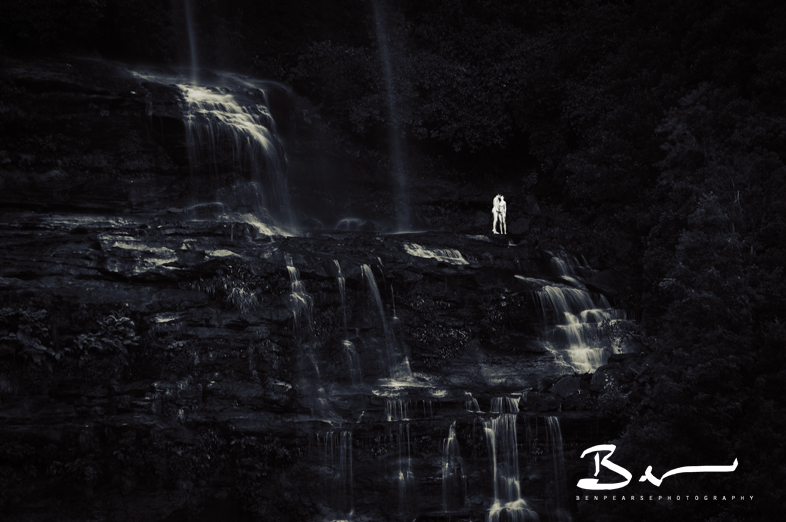 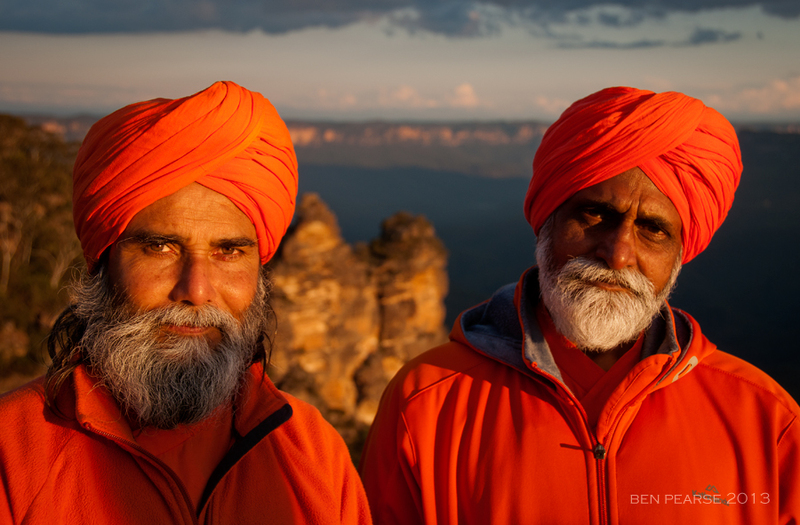 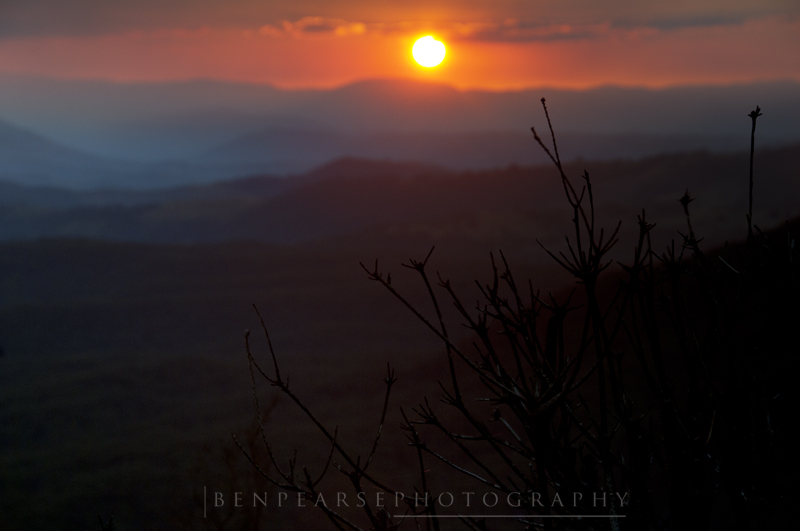 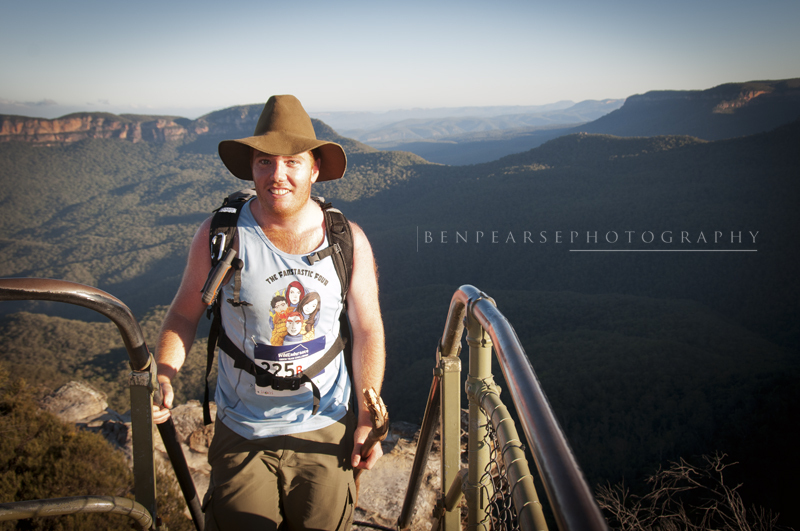 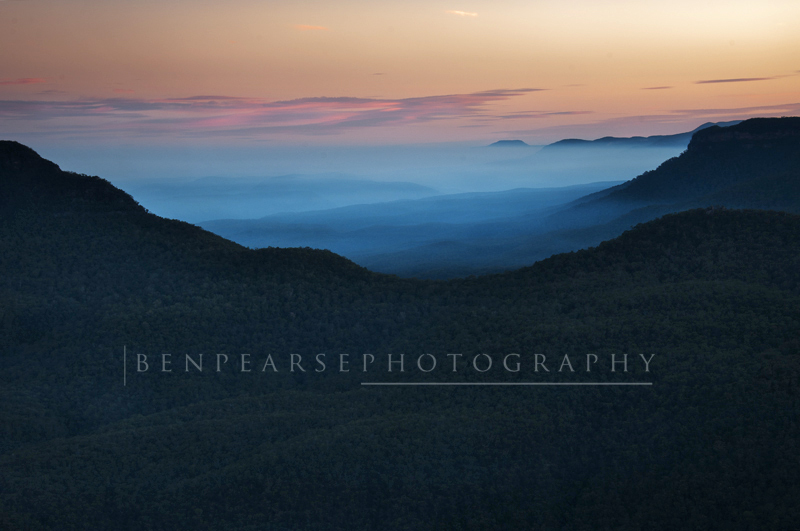 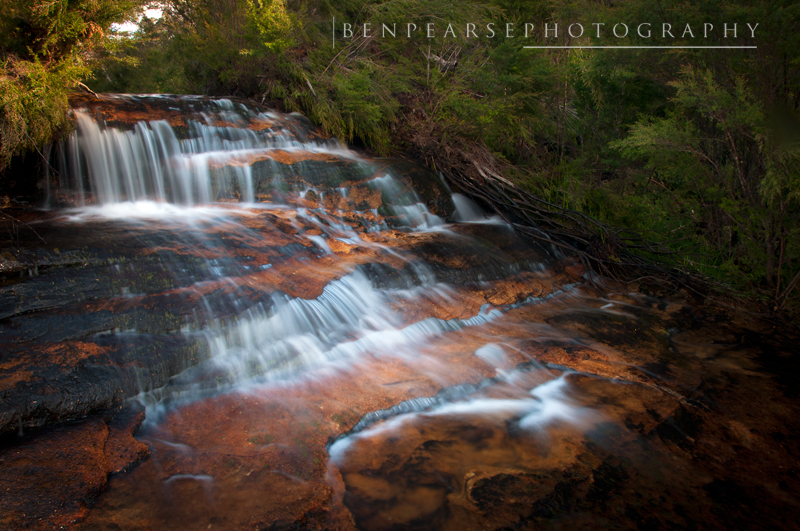 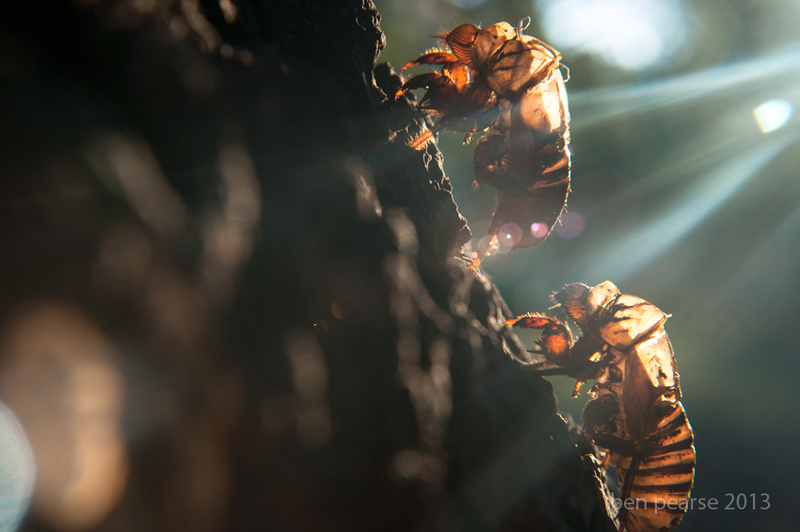 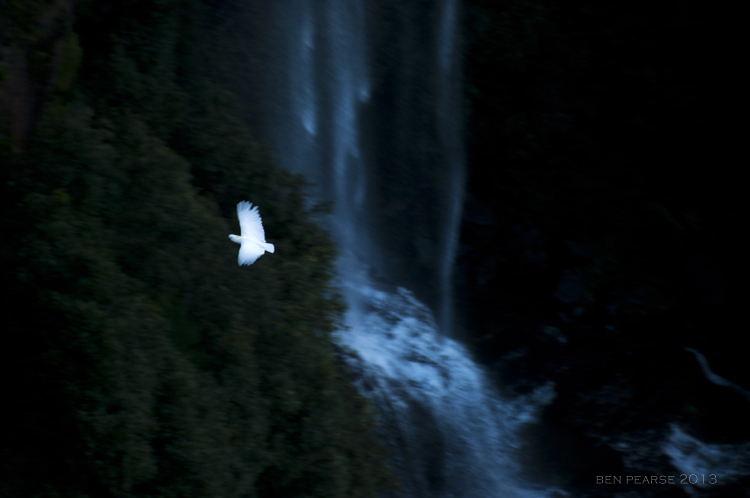 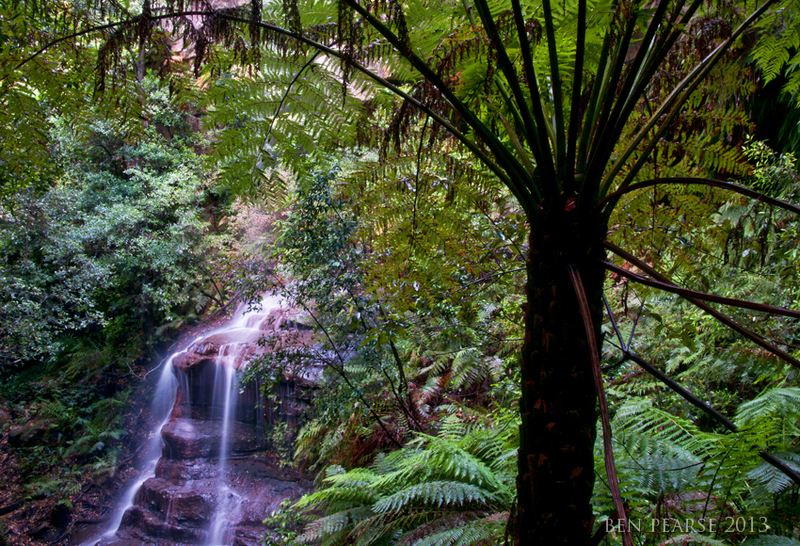 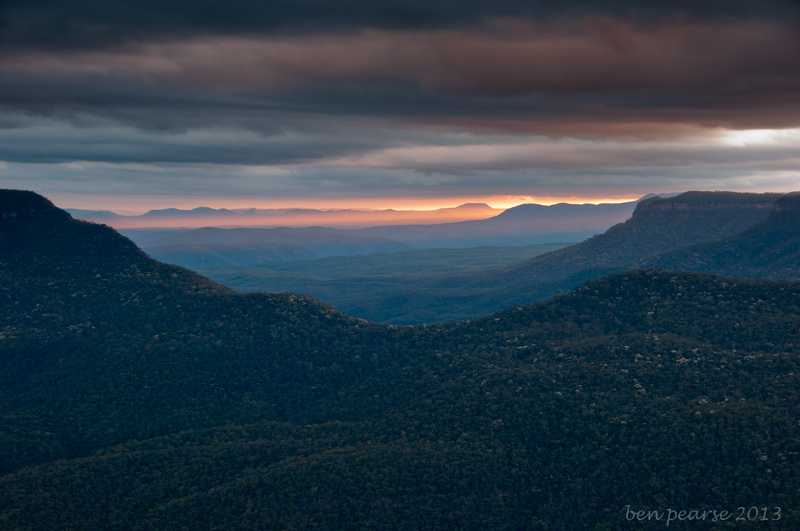 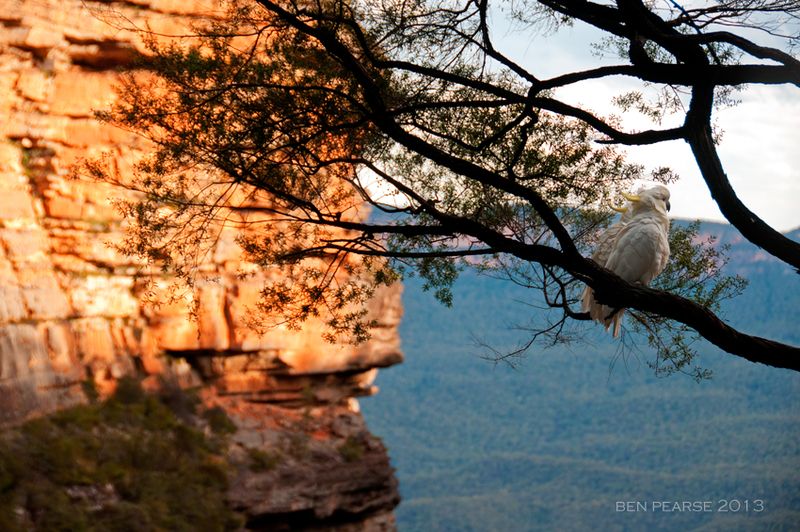 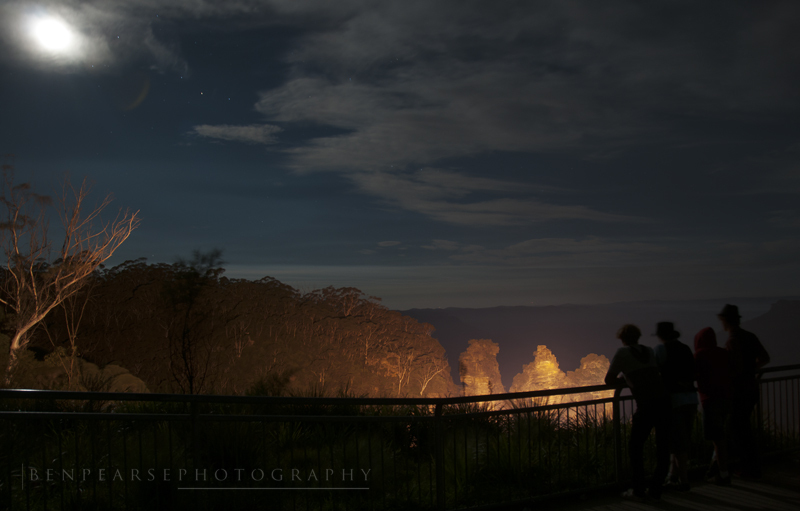 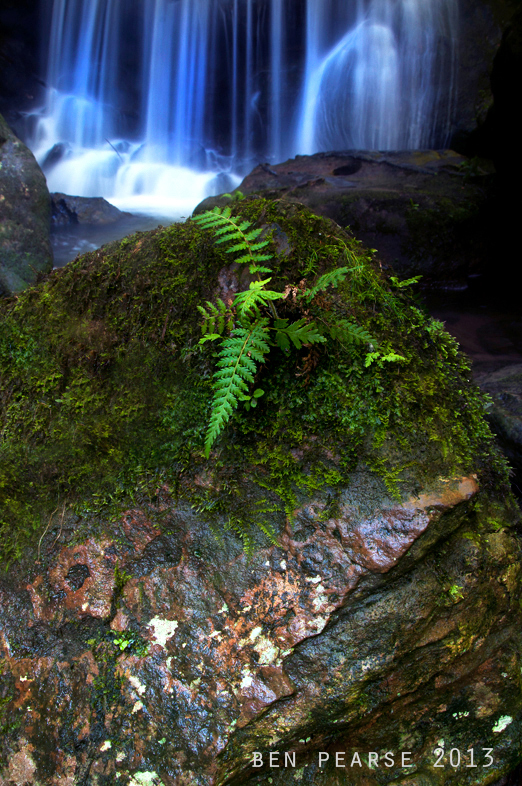 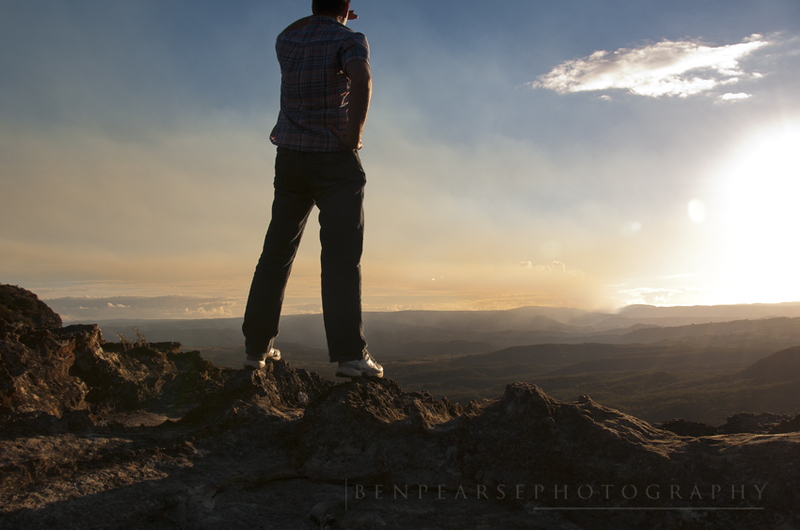 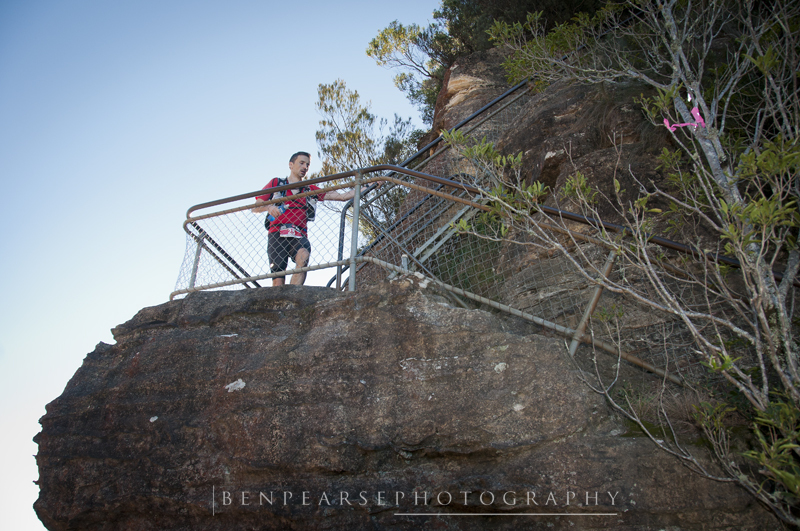 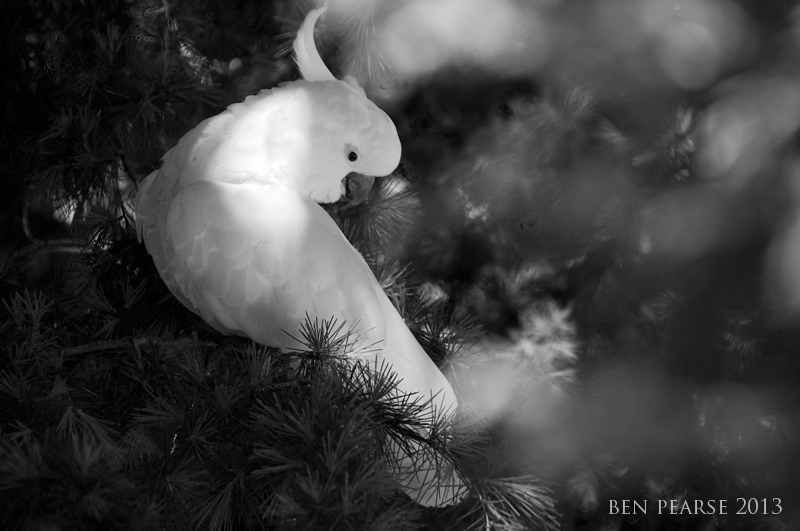 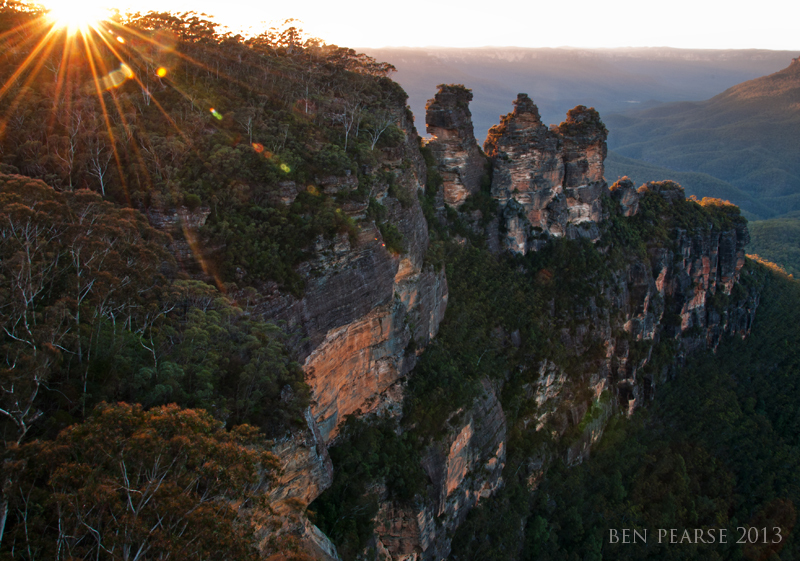 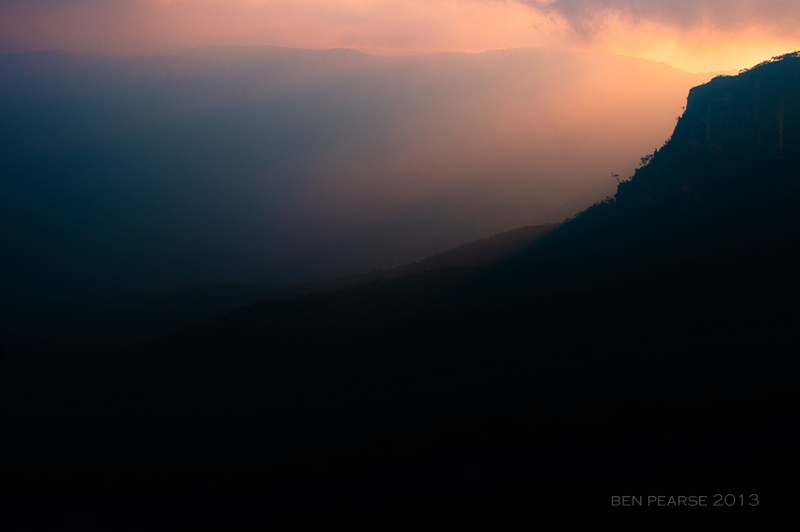 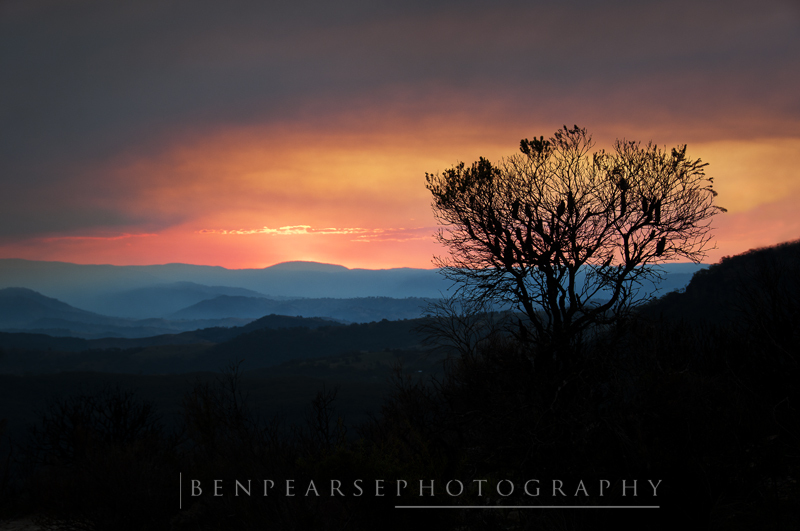 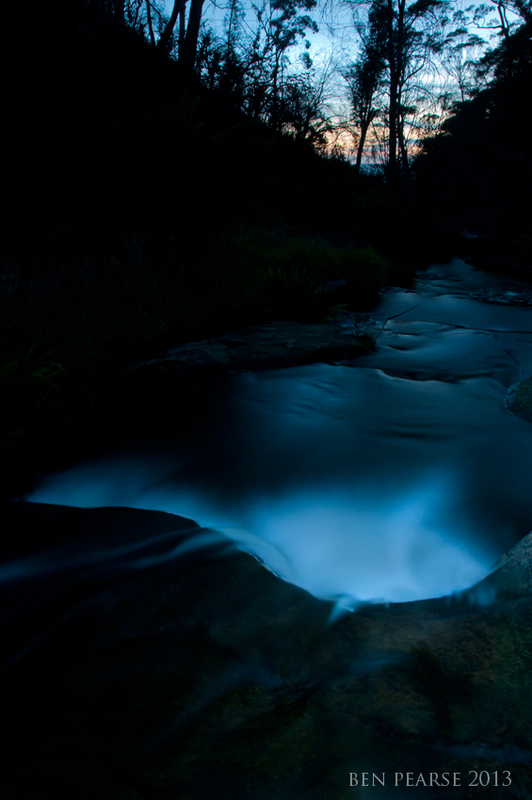 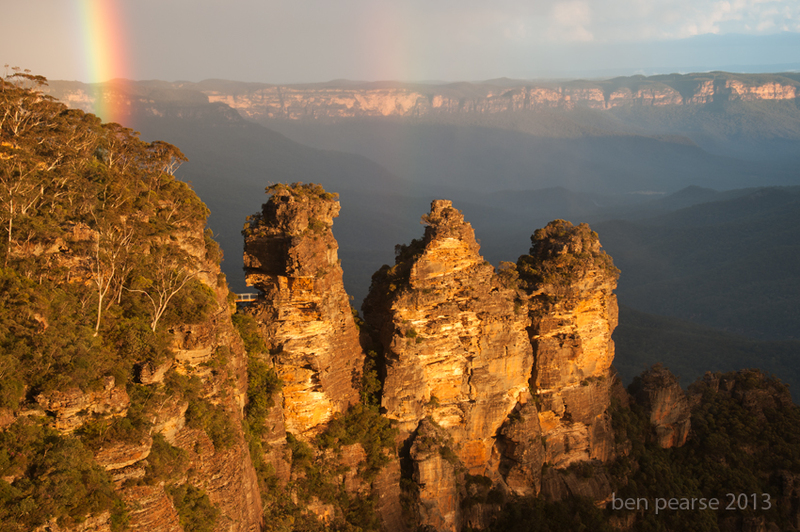 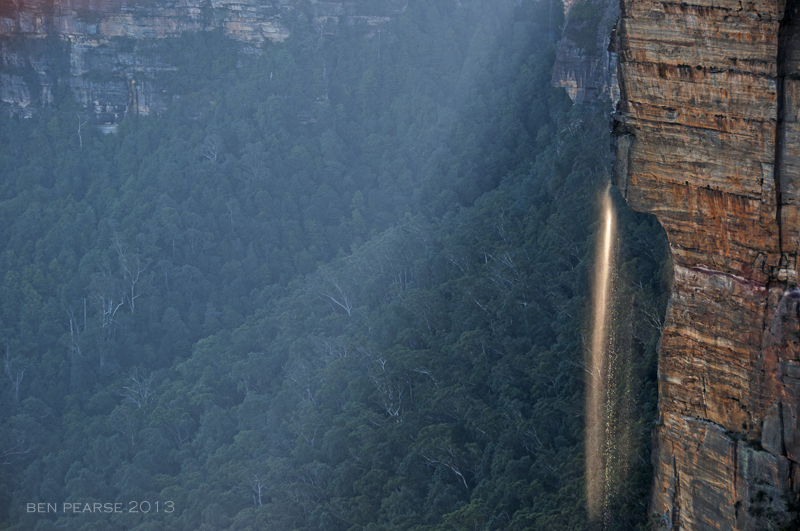 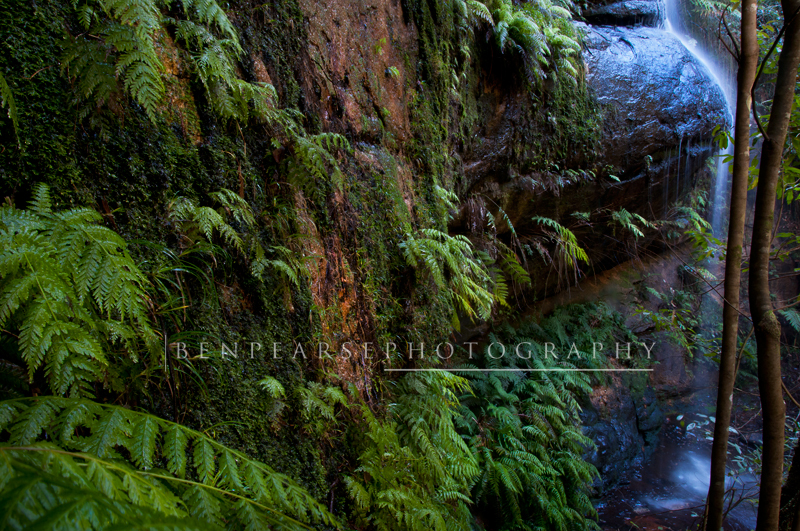 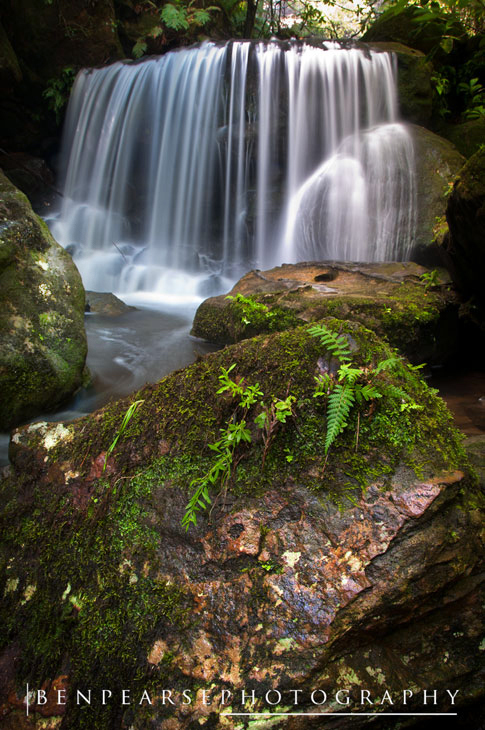 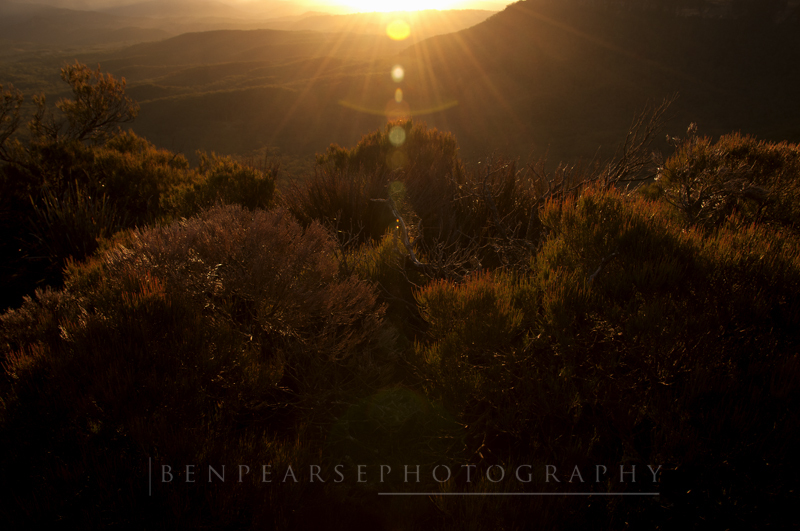 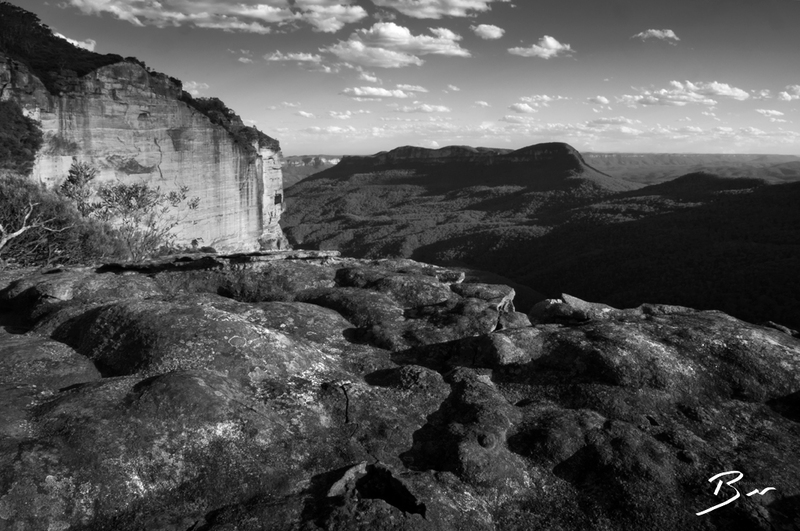 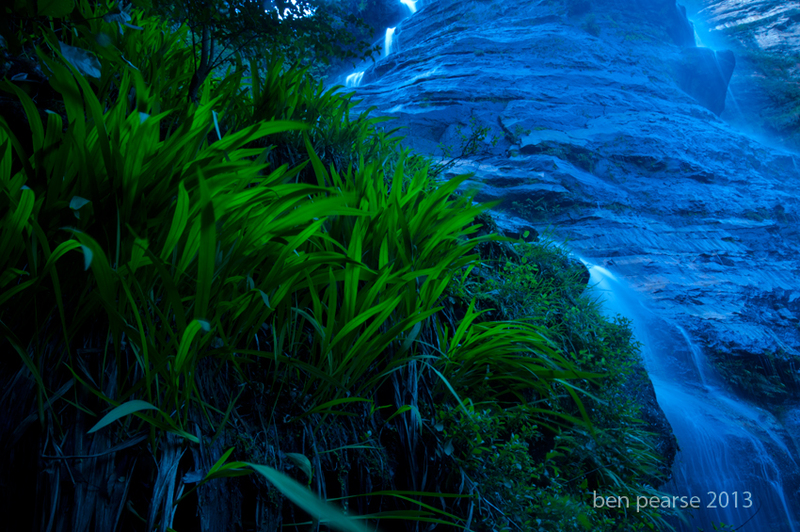 Ben Pearse is a professional photographer living and working in the beautiful world heritage Blue Mountains, Australia. 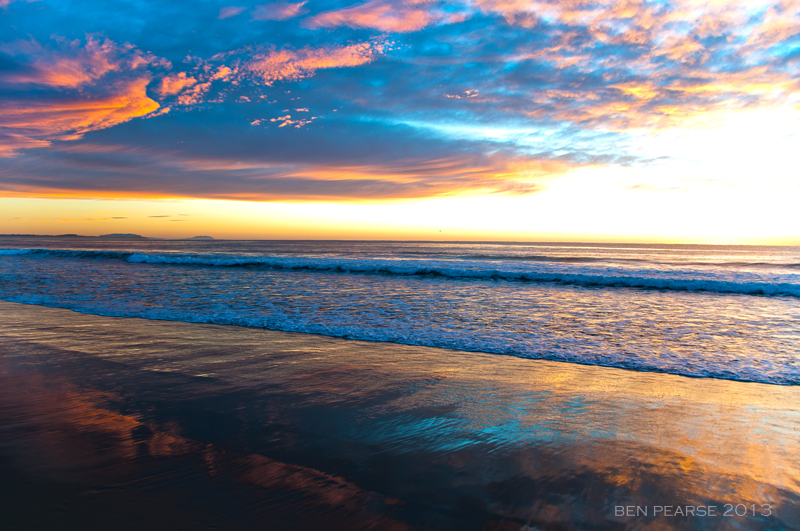 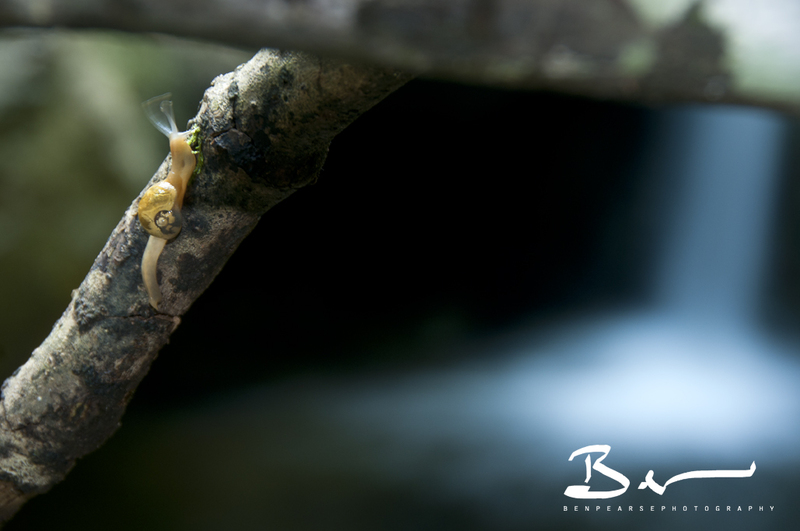 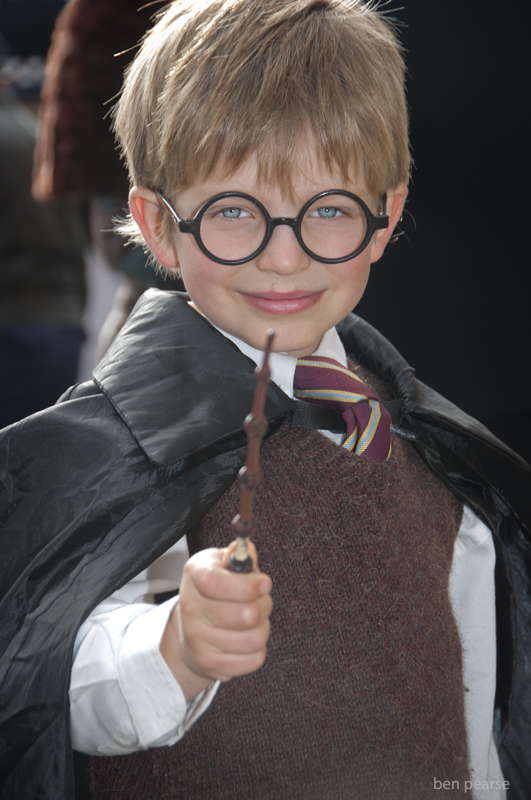 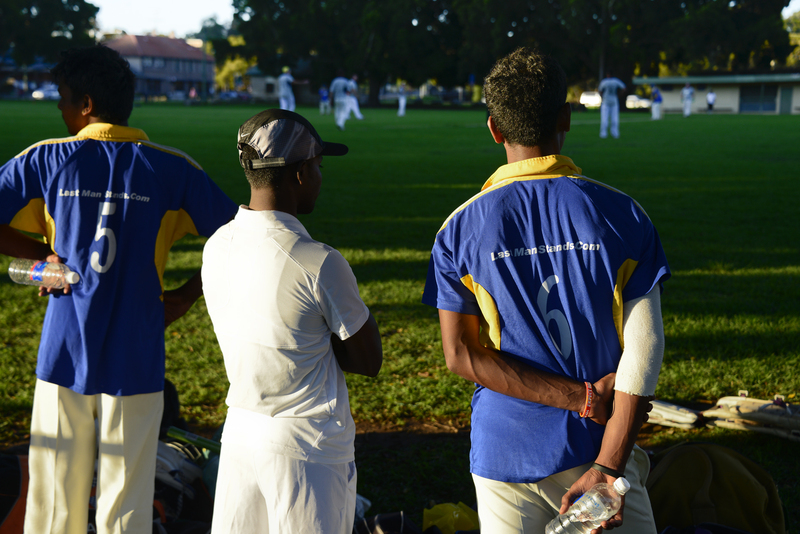 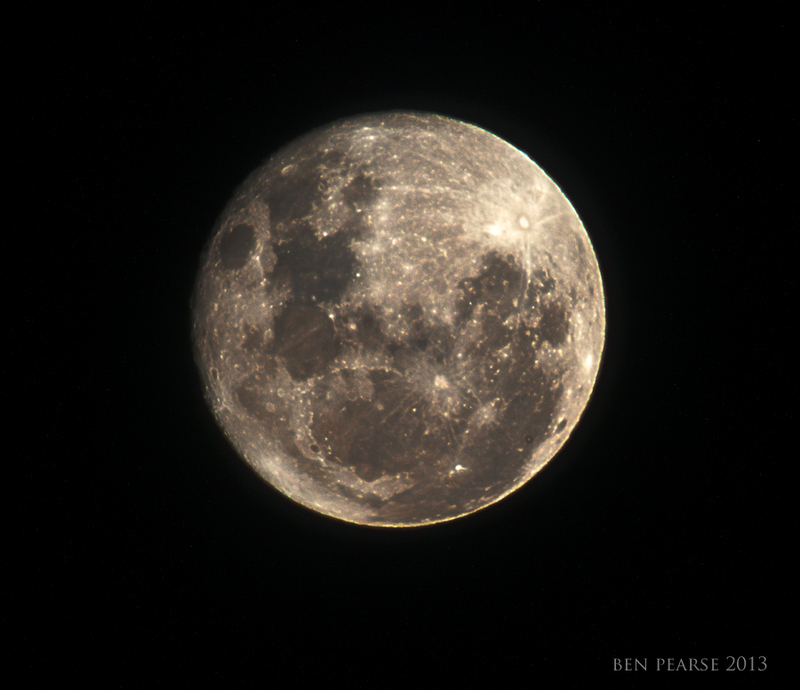 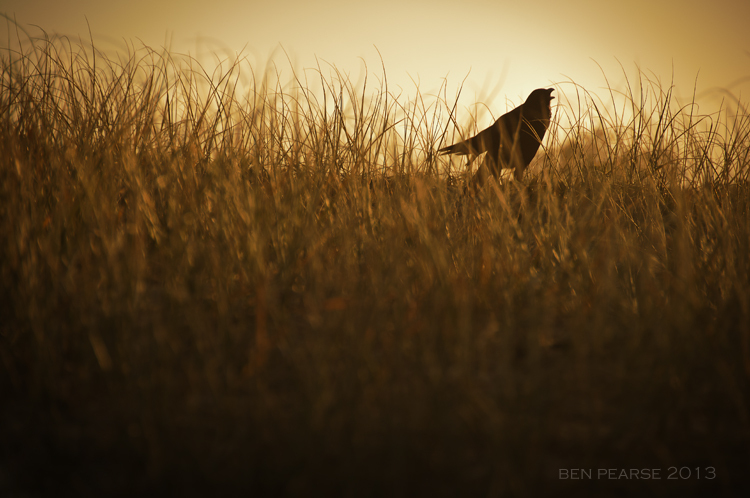 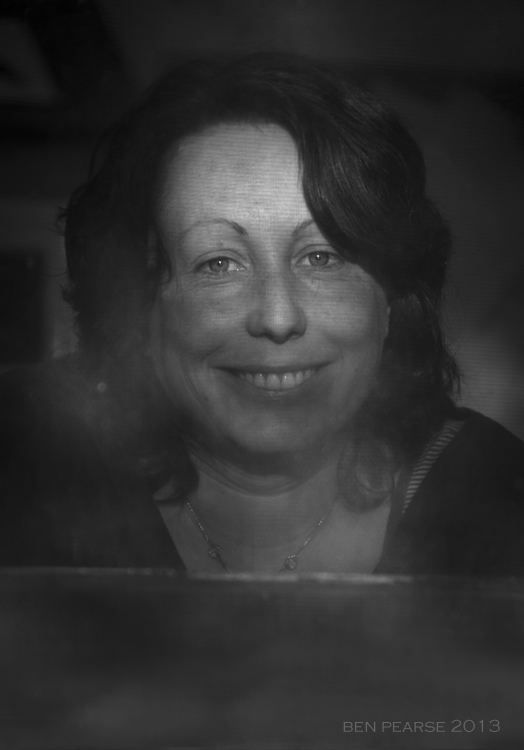 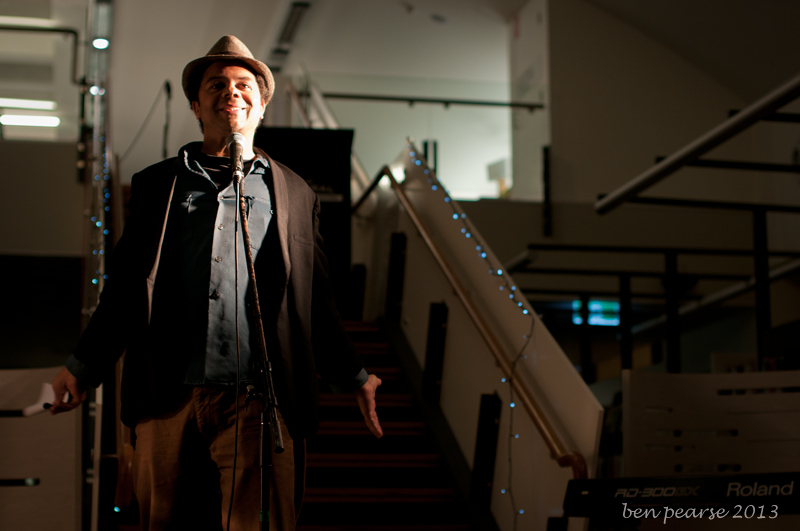 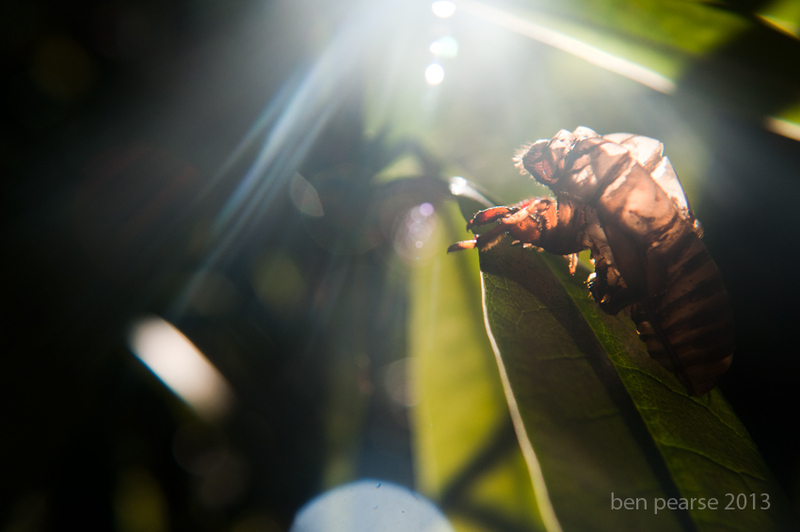 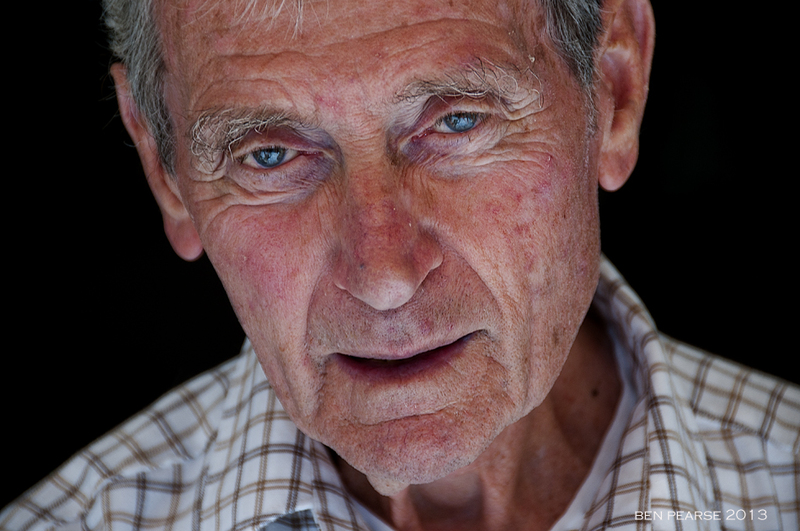 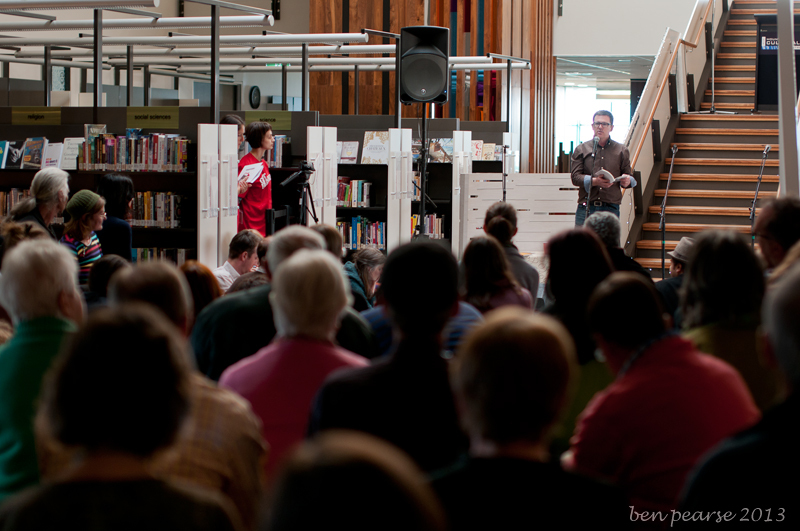 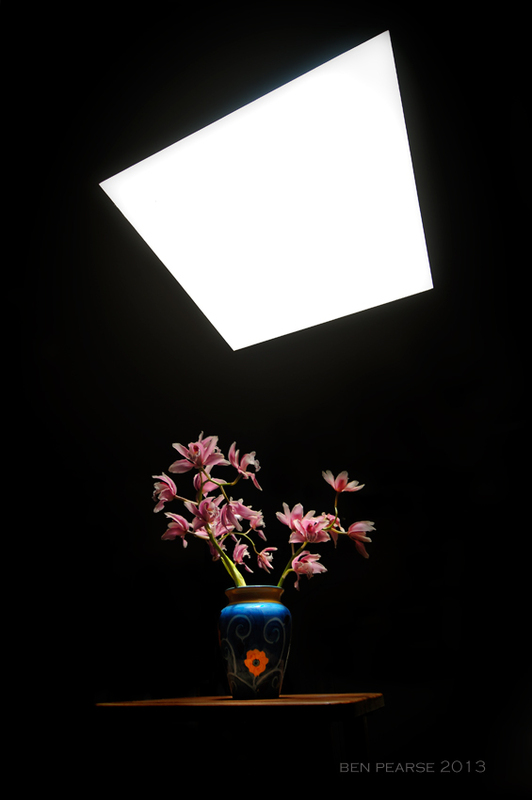 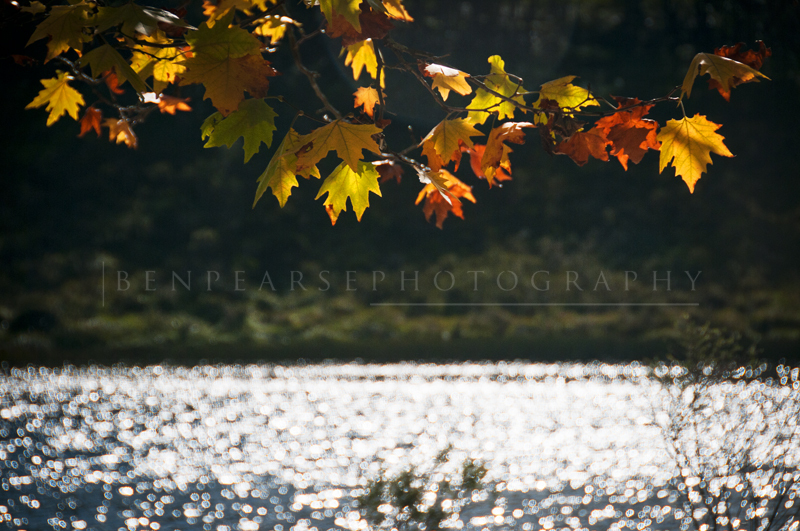 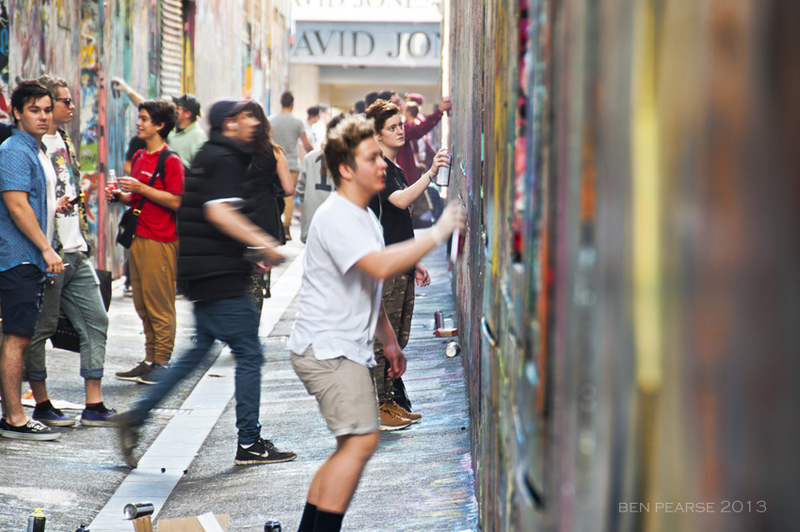 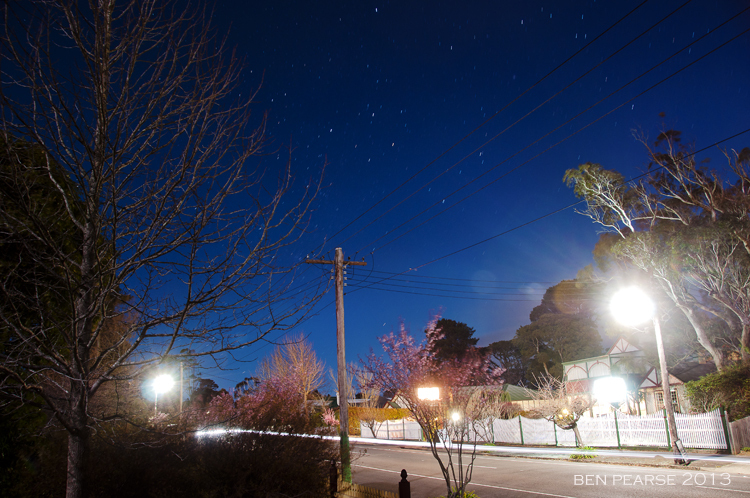 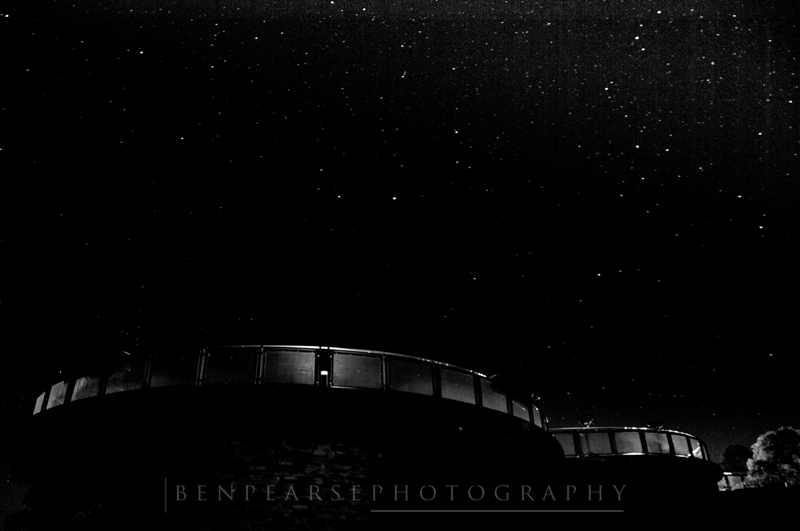 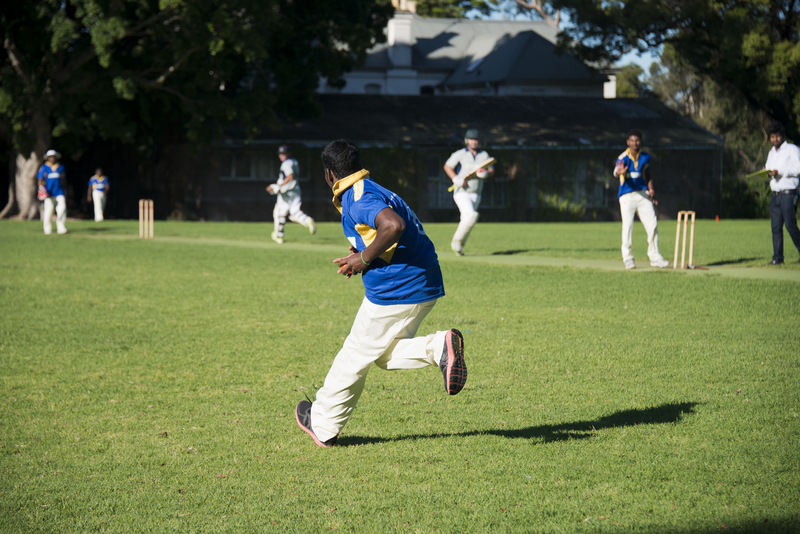 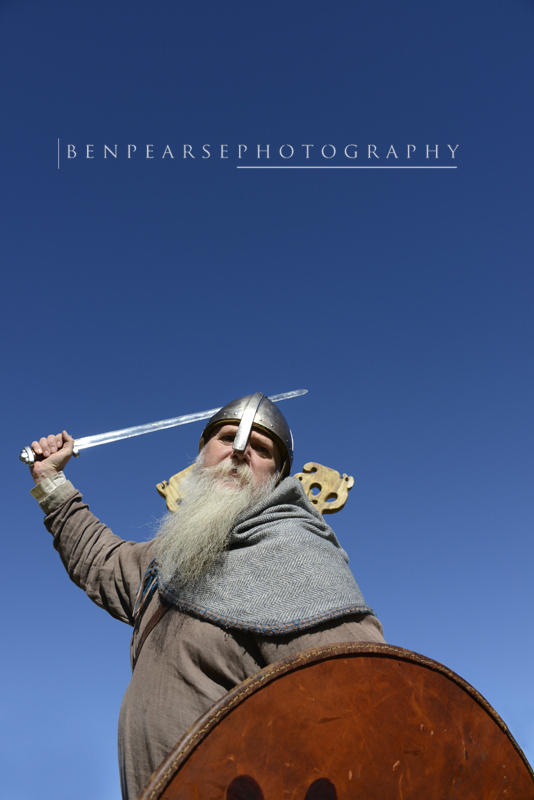 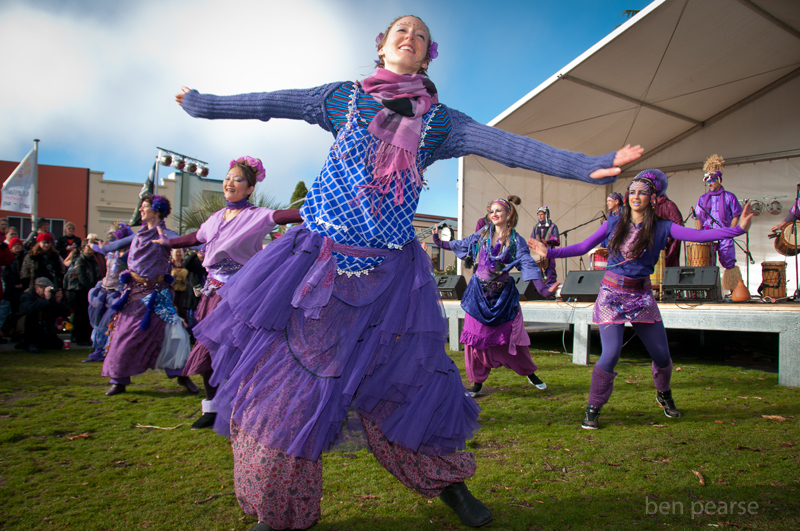 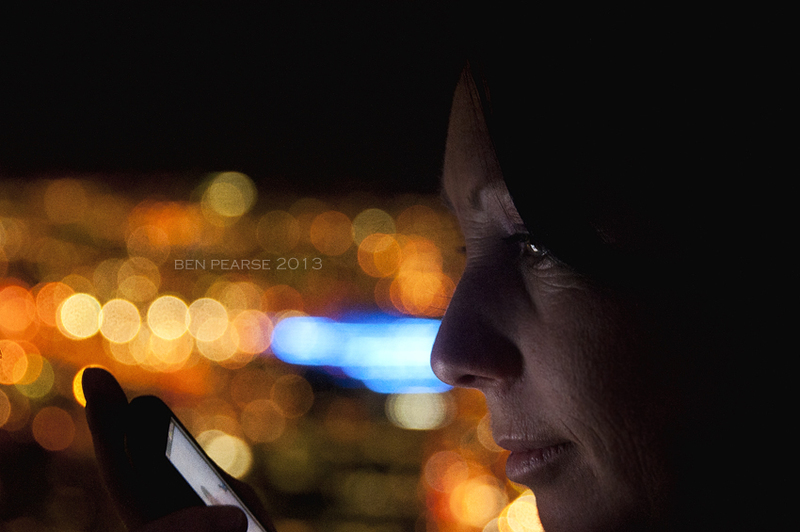 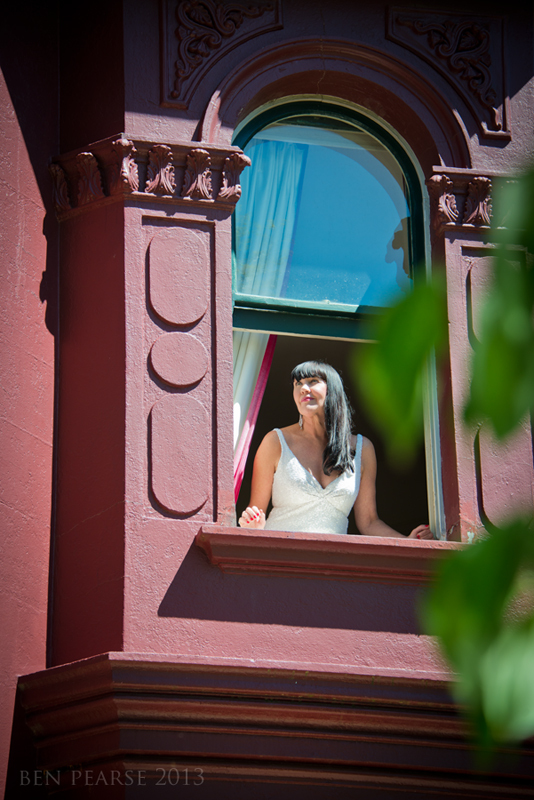 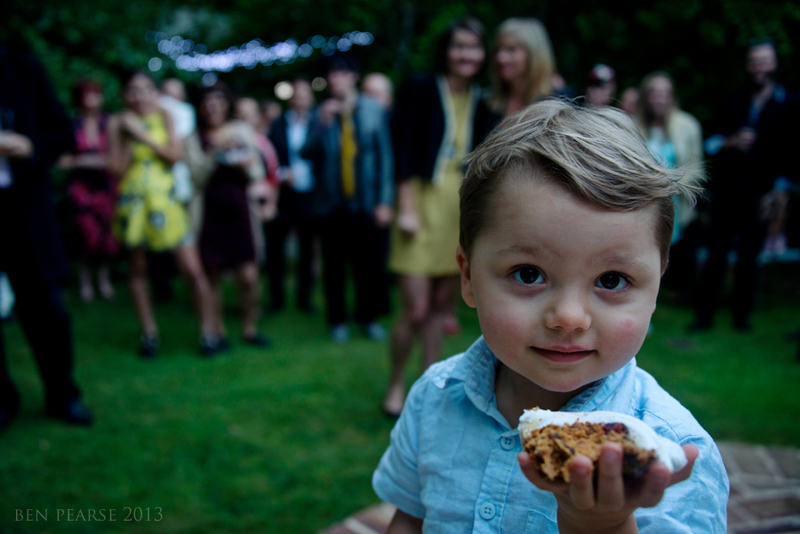 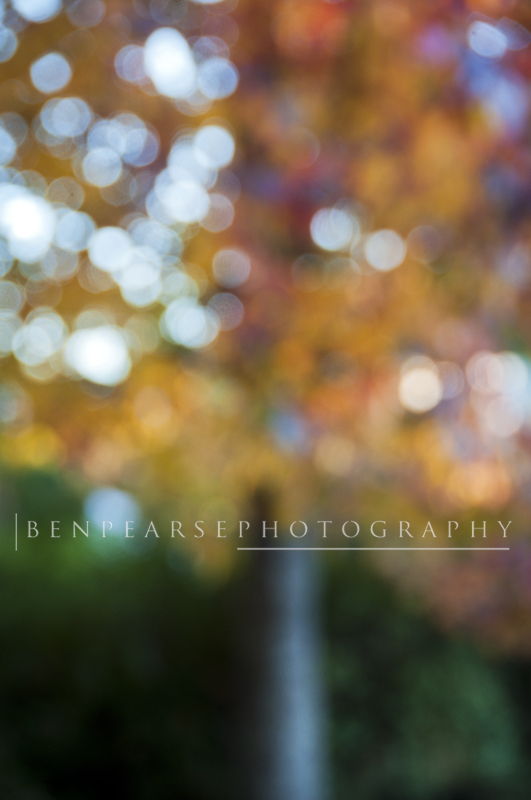 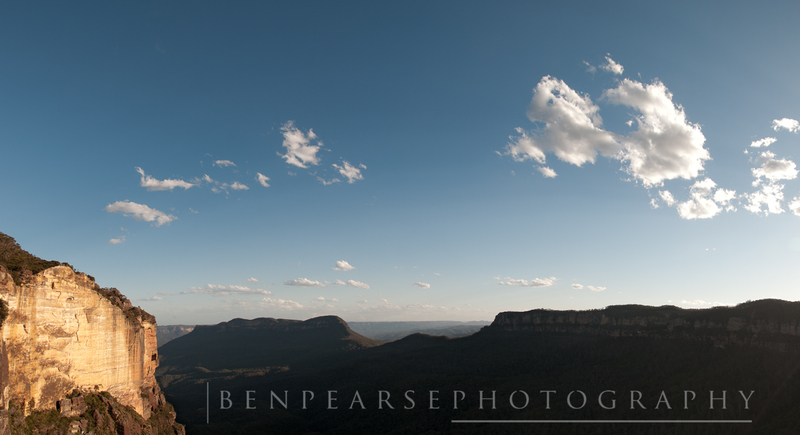 Ben is available for Weddings, Portraits, Functions, Licensing & most forms of commercial photography. 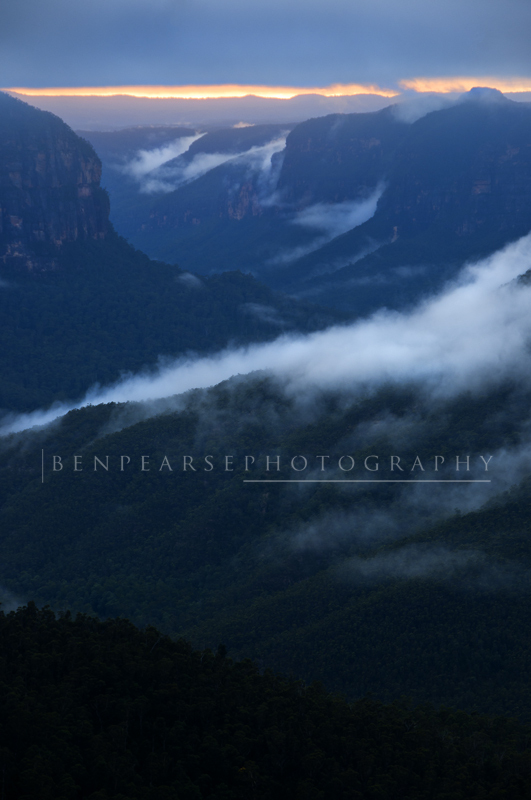 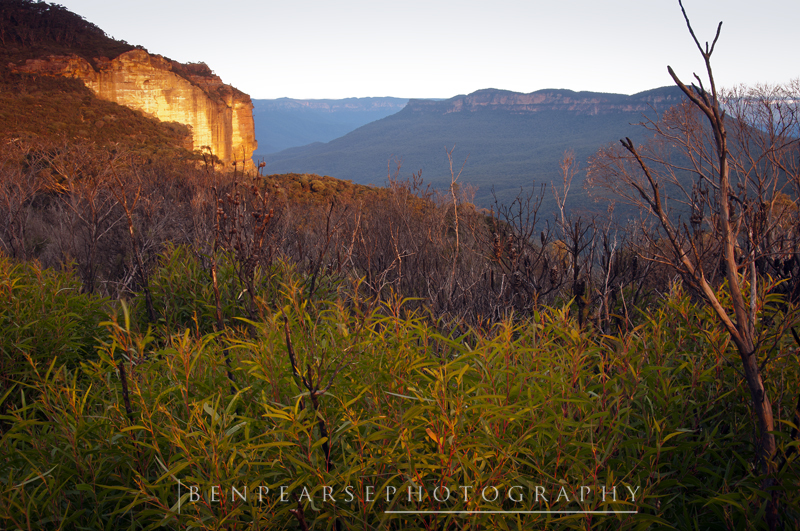 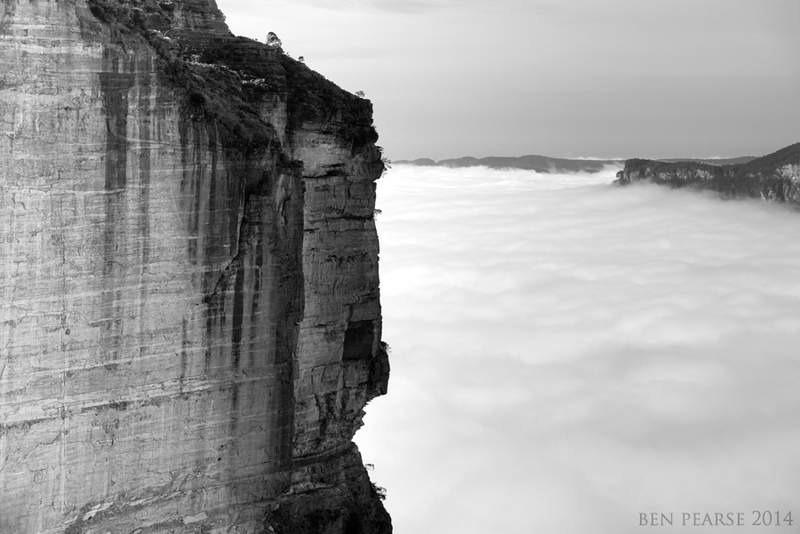 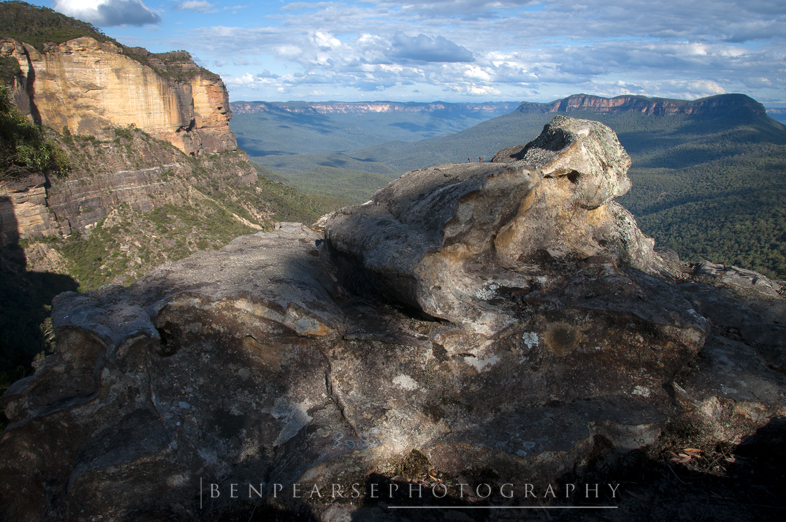 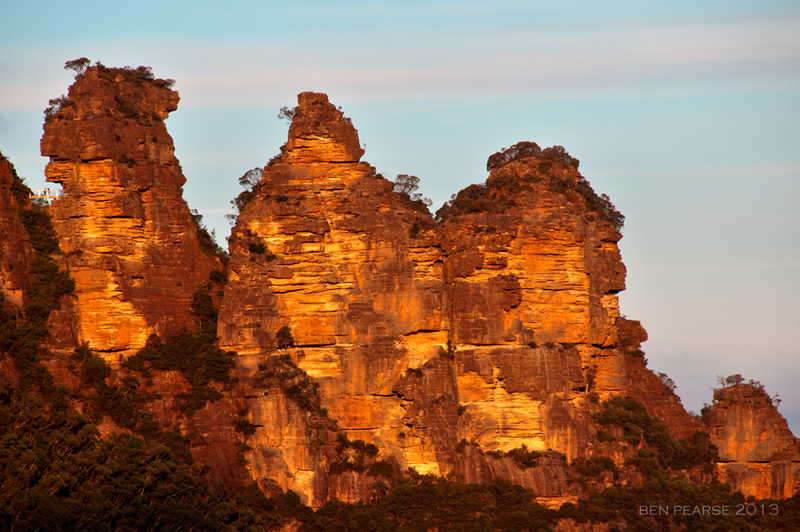 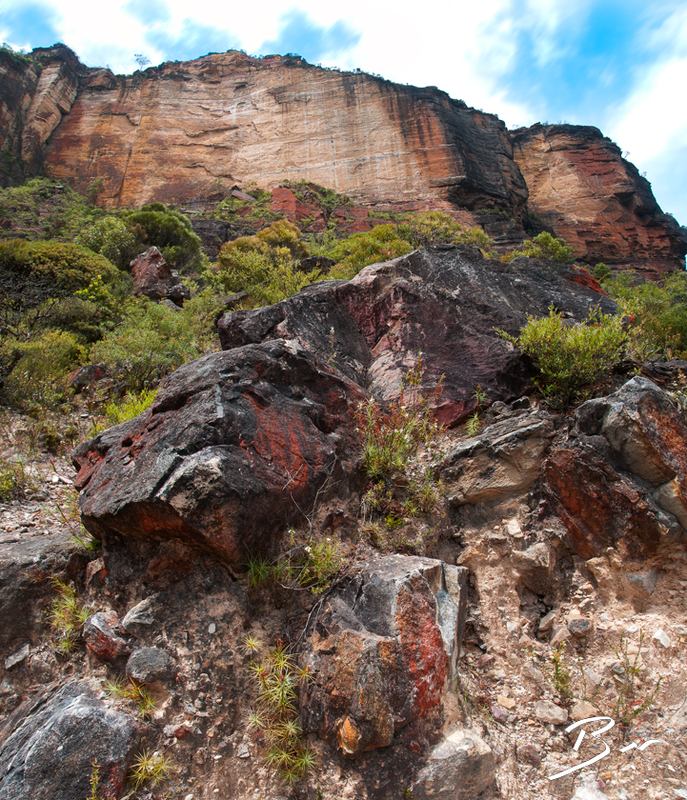 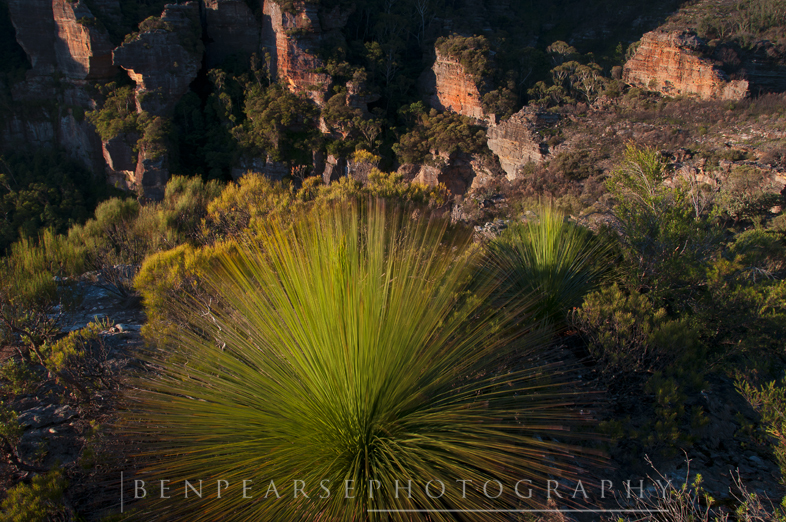 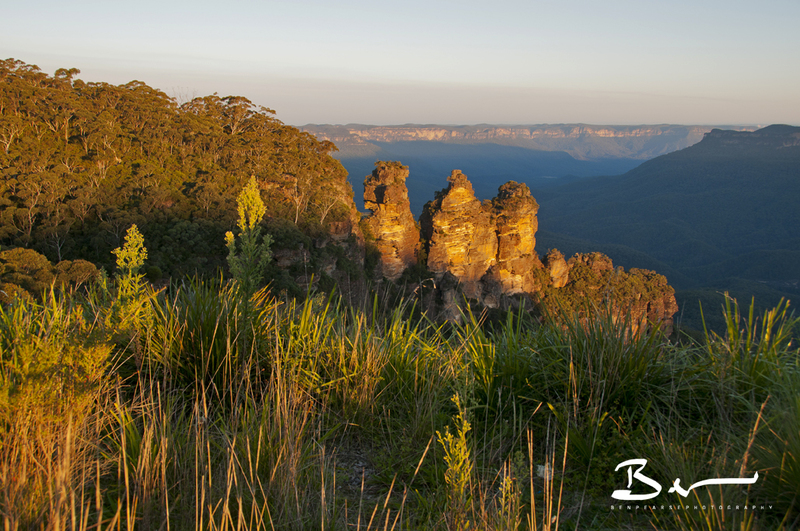 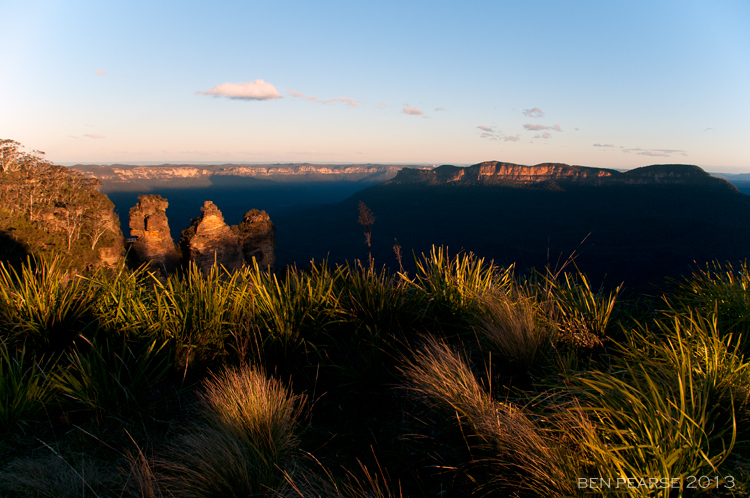 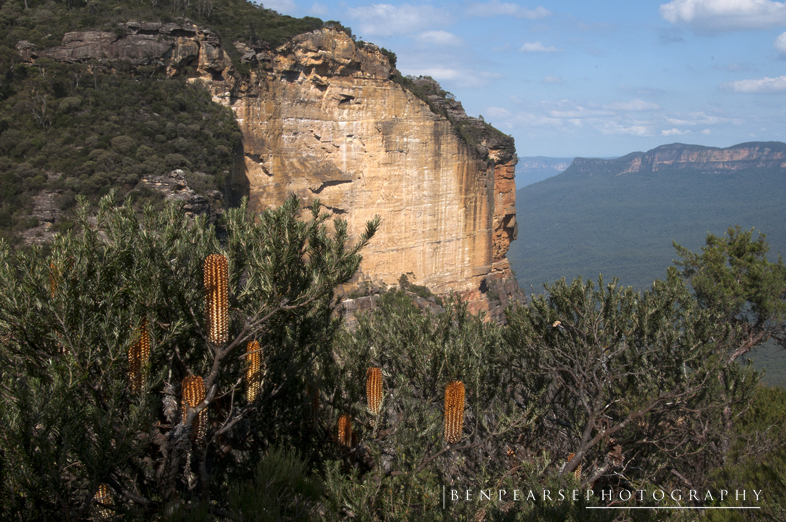 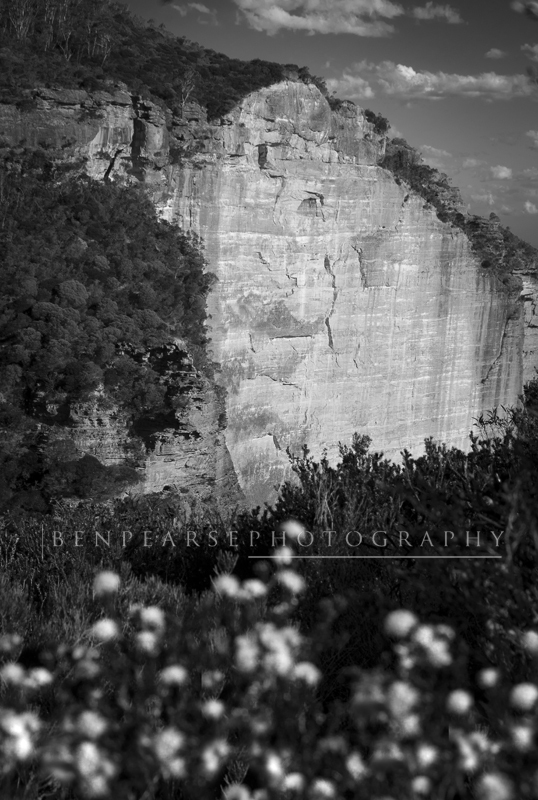 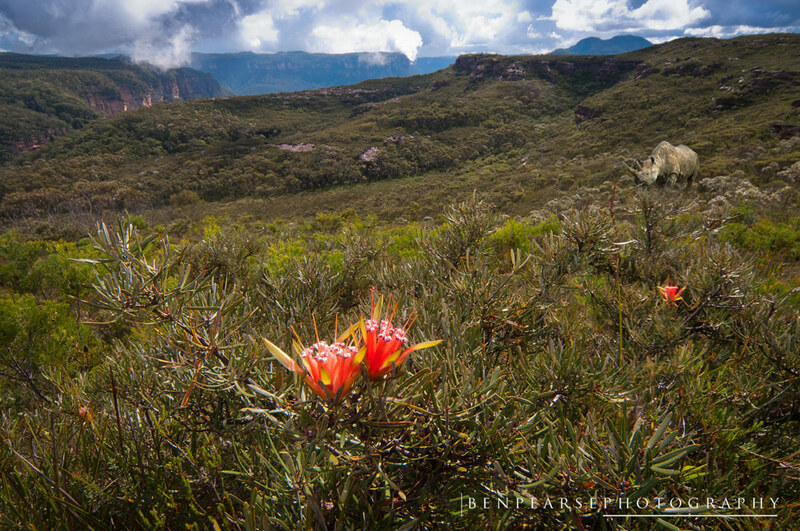 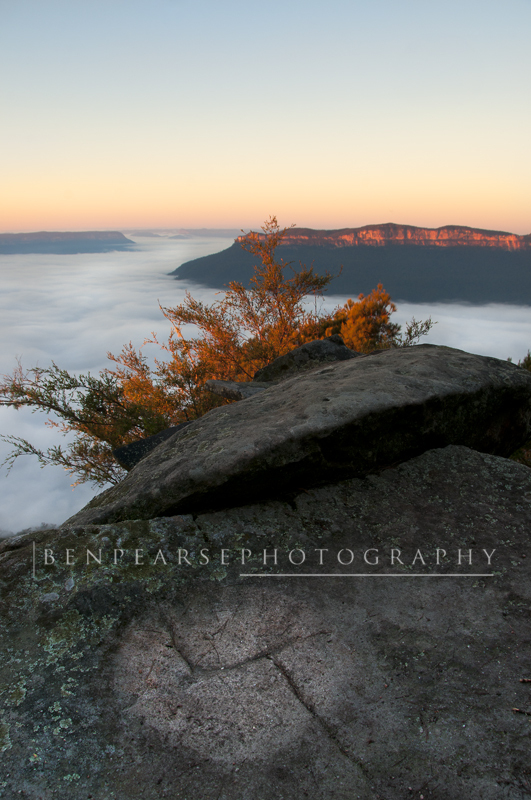 Ben also has a large selection of images of the Blue Mountains available as fine art prints or image licensing for business. 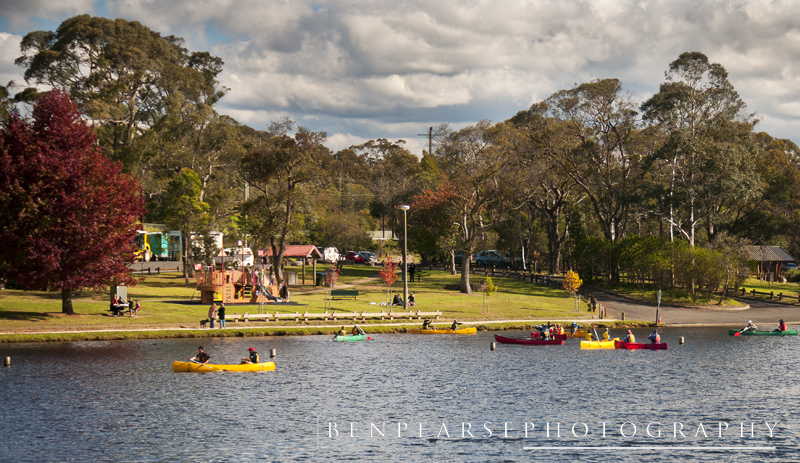 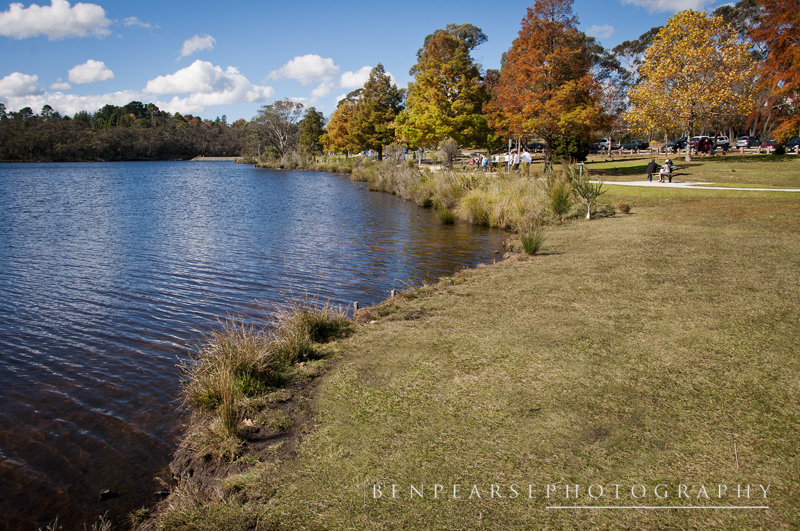 I can remember swimming across Wentworth Falls lake, a large and vast open body of water, (well so it seemed like when your 10) as a young kid growing up in the Blue Mountains. 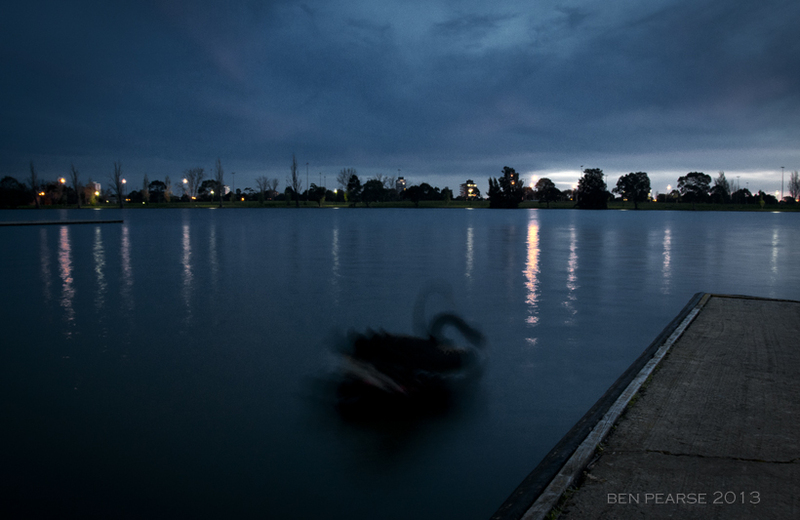 As a kid you were elevated to a higher status amongst your peers (local street kids) for successfully making the swim across the lake. 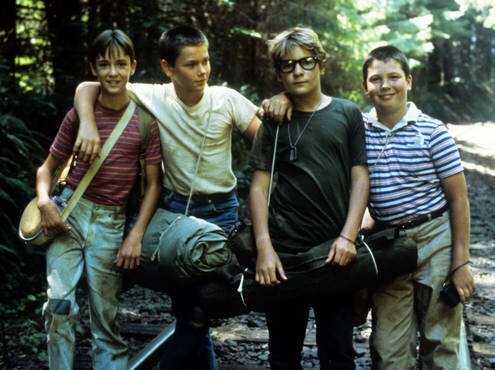 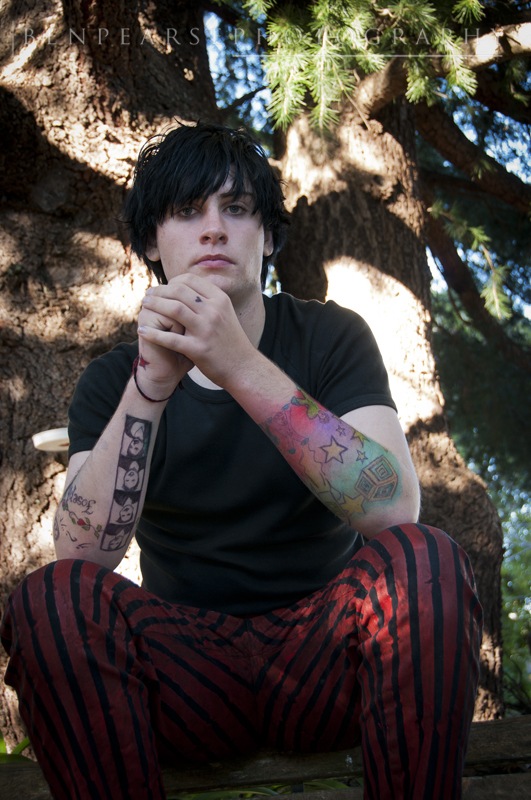 It seemed that the older kids suddenly knew your name and for the next for weeks………you were immortal………like…ish. 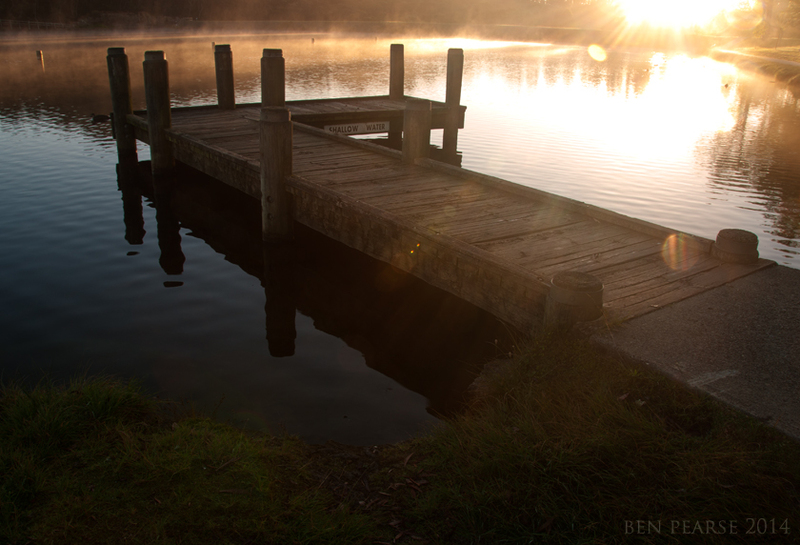 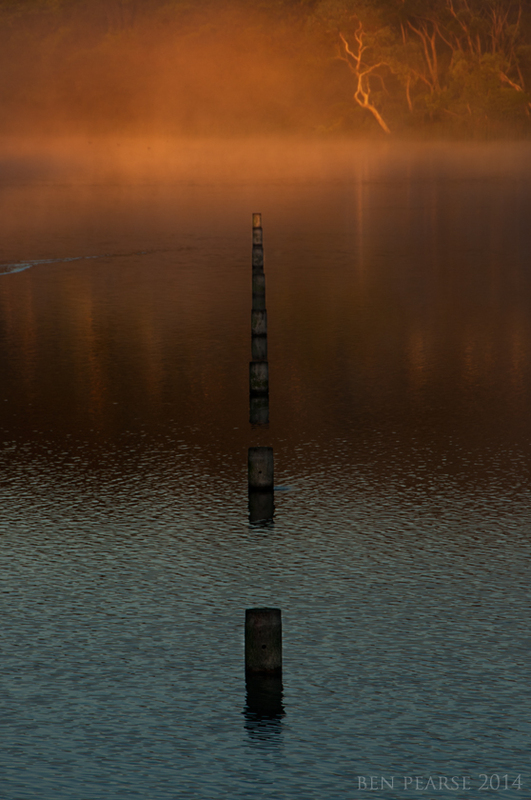 So as I returned to take some sunrise photos I couldn’t help but think of those early carefree days on the lake. 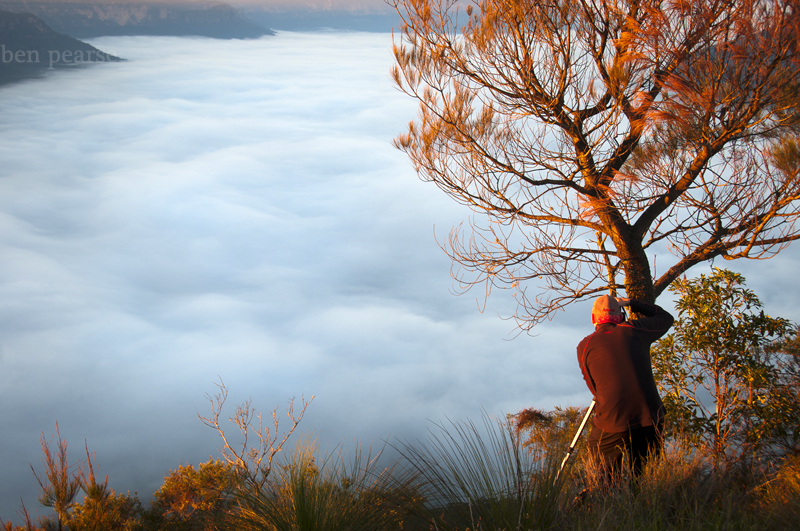 Checking the weather maps the previous night offered up the chance of fog the following morning, which means the possibility of some good mood. 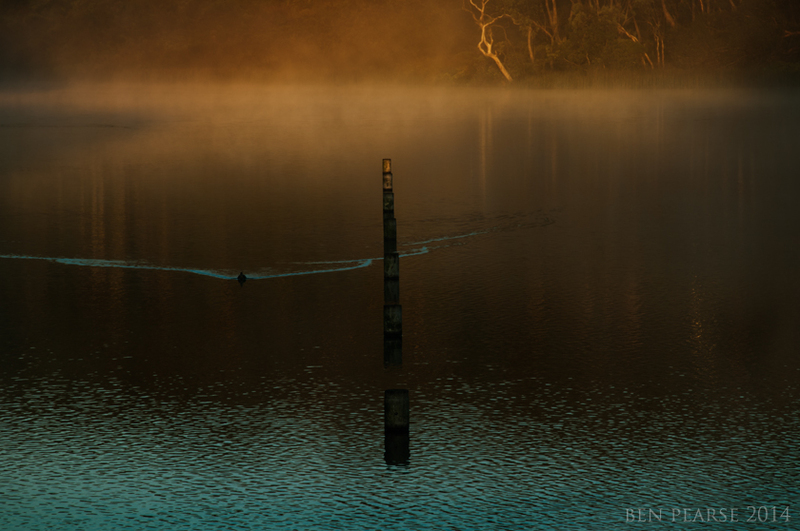 Though the low fog wasn’t as much as we would of liked, it was far better than none at all and really help to set a golden scene as the sun began to rise. 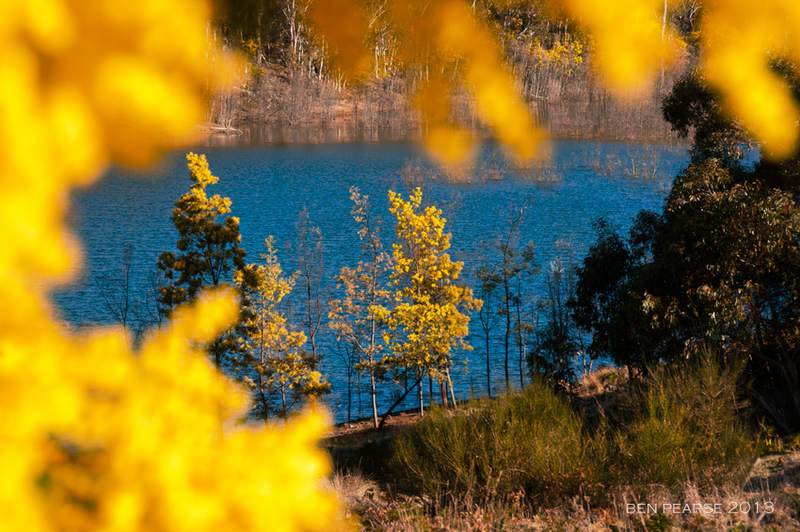 I have always enjoyed coming to the lake on different seasons throughout the year and I look forward to getting some more shots from this beautiful little spot in the Blue Mountains, Australia. 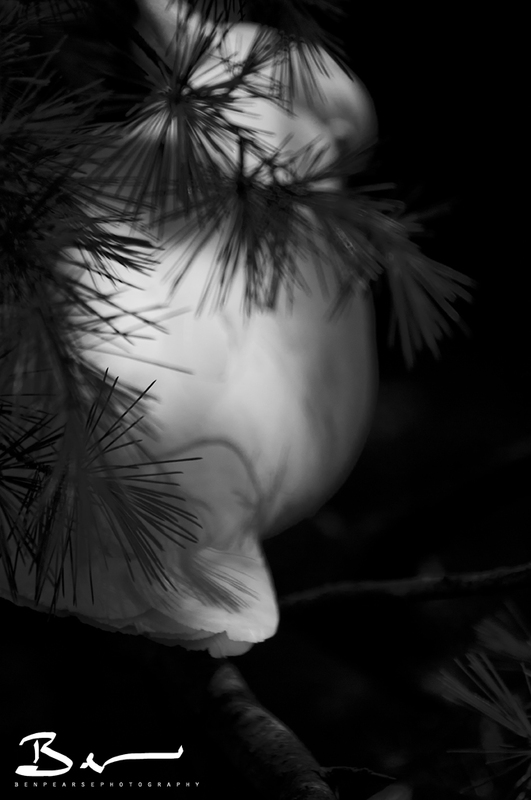 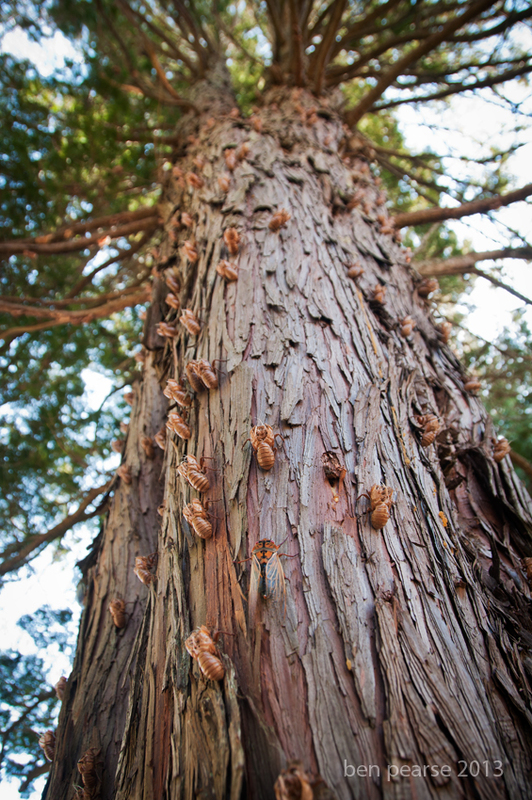 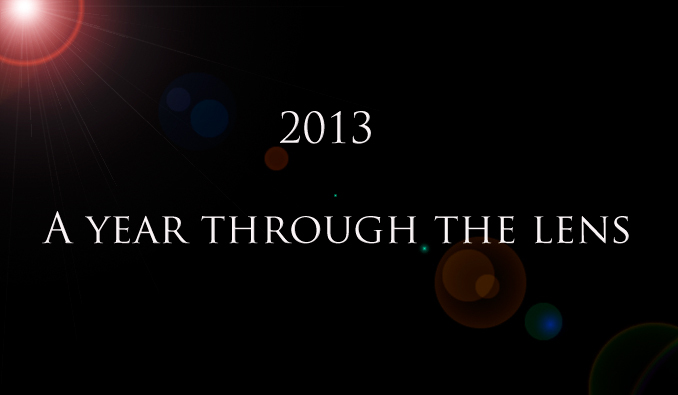 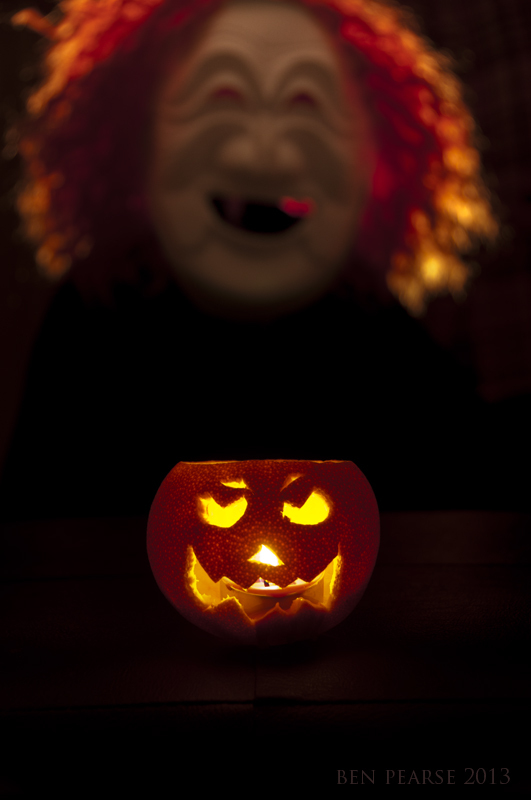 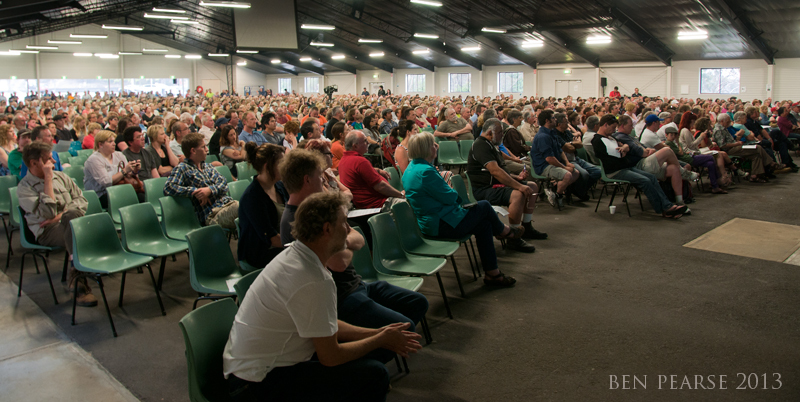 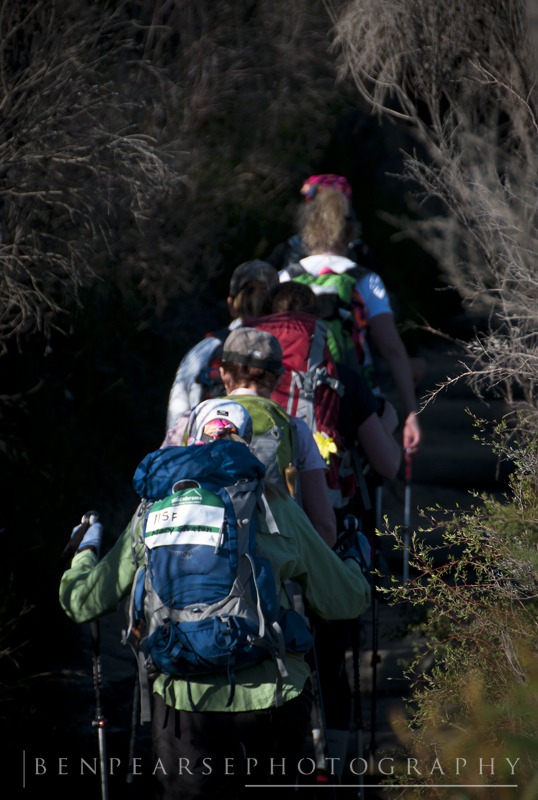 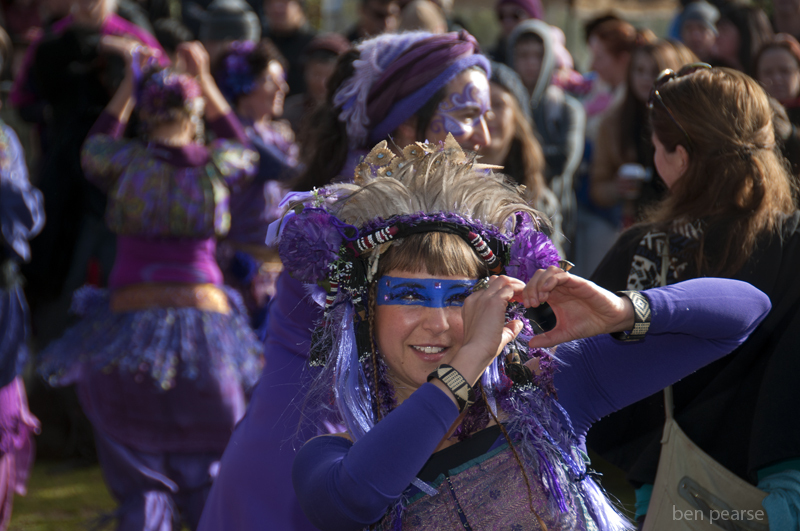 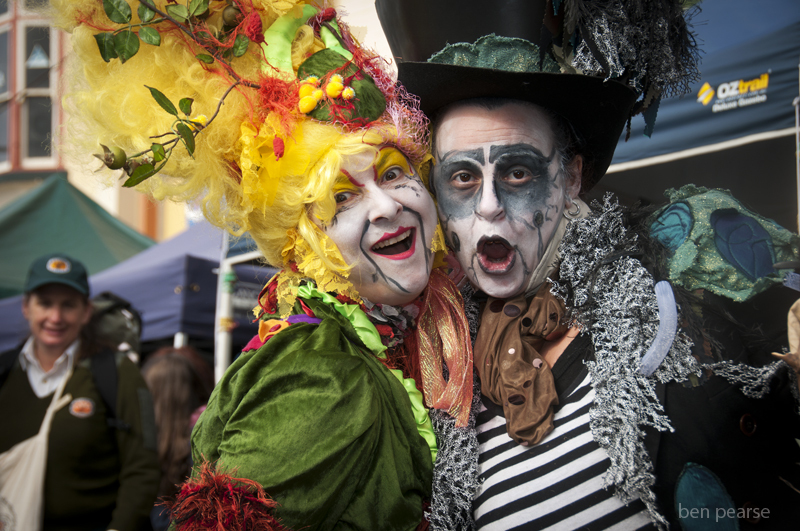 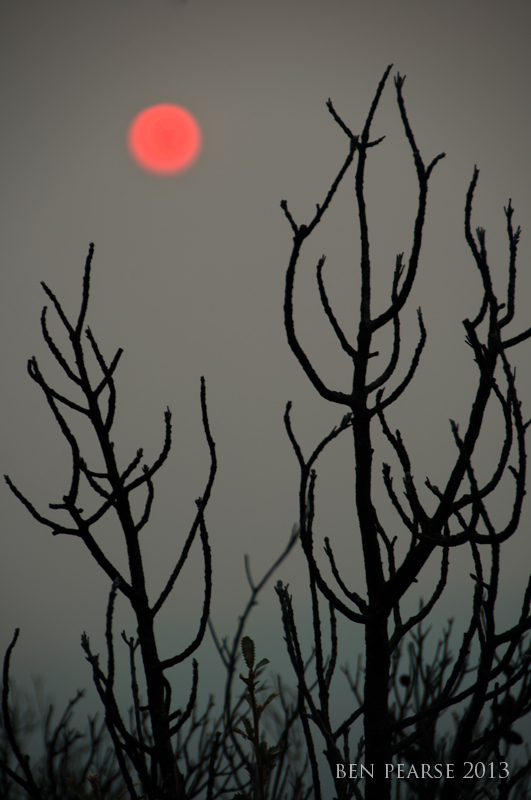 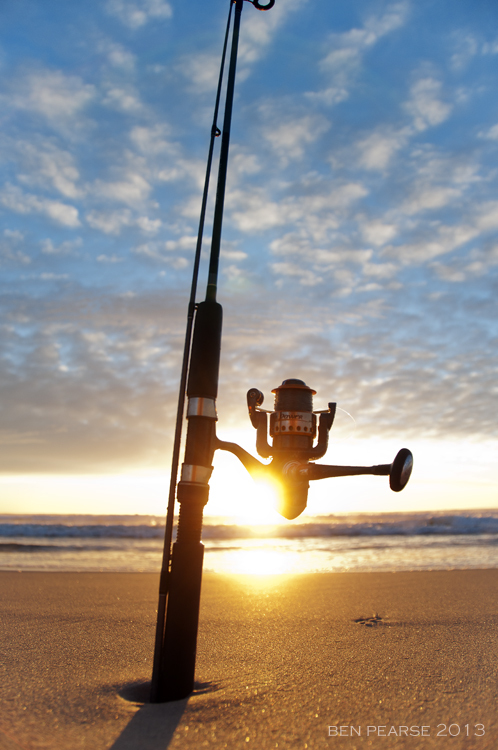 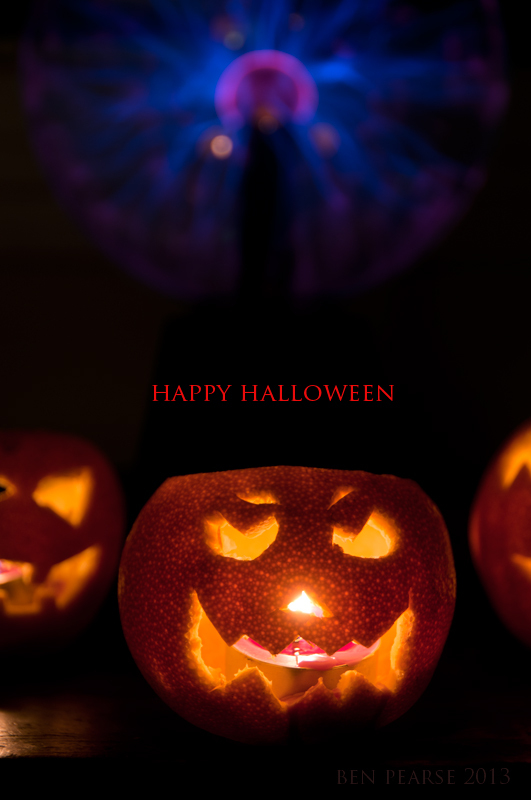 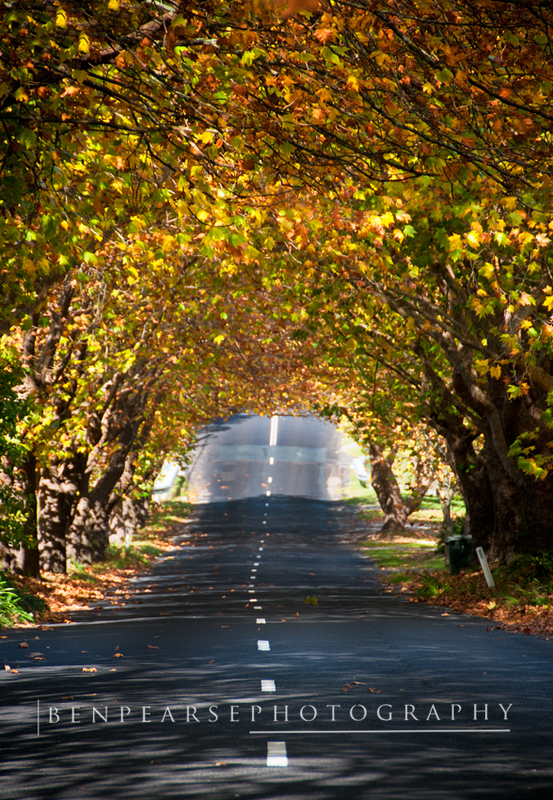 I hope you find some time to get out and about…. 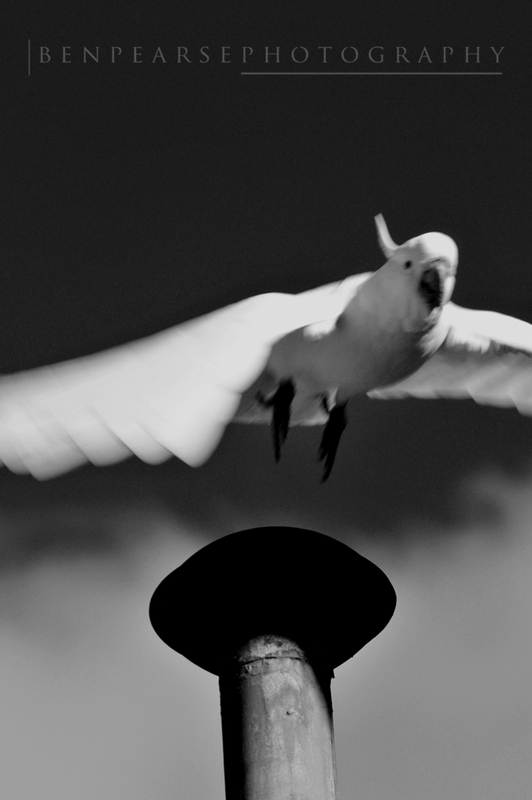 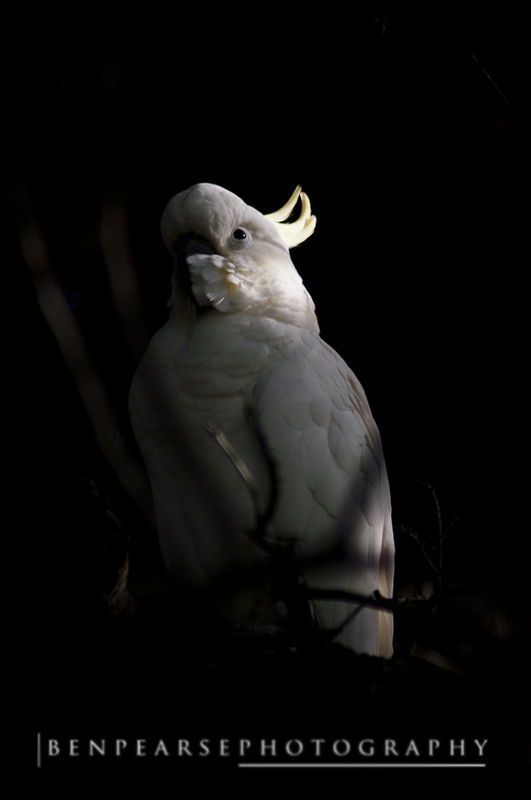 I think you either like Cockatoos or you don’t. 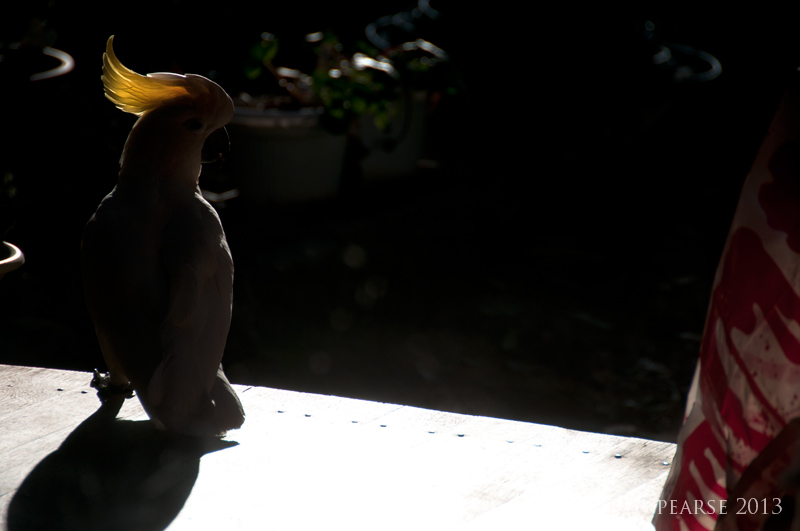 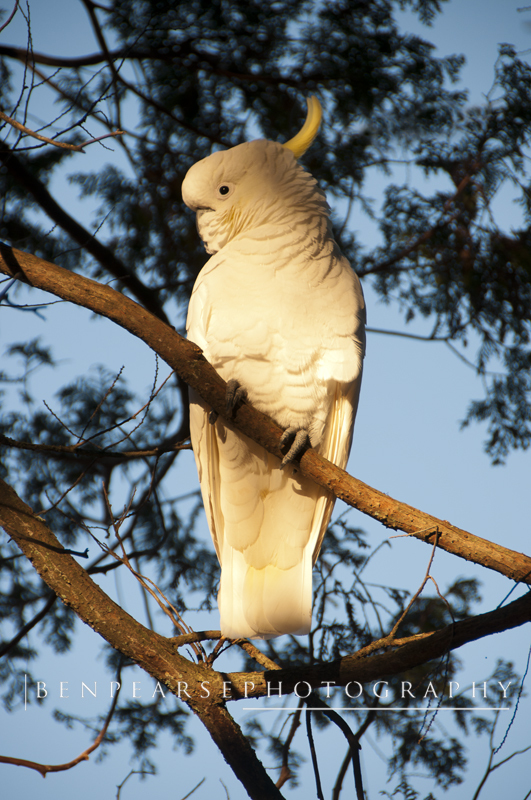 They are a very common Australian bird and can be rather cheeky and a little noisey at times. 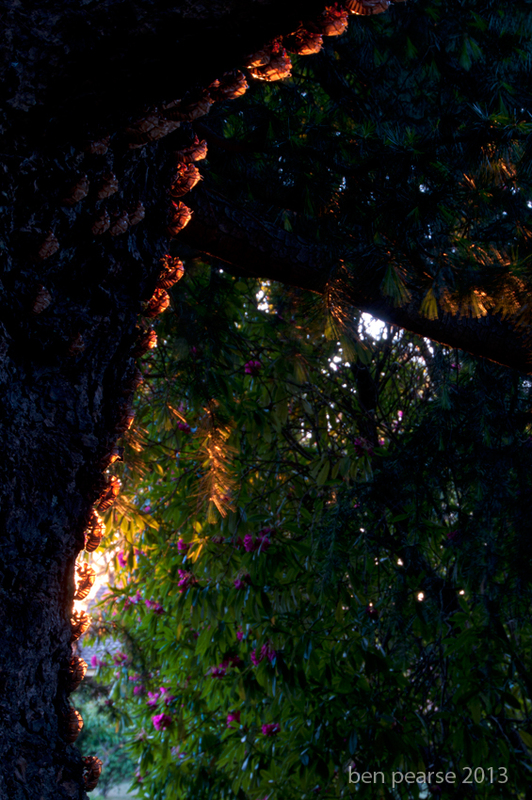 I for one really like them. 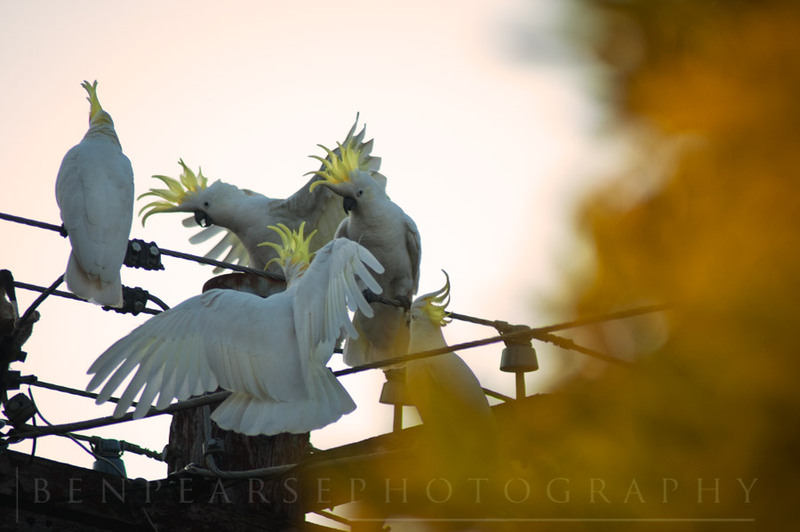 I think they have allot of character and I like their cheeky side too. 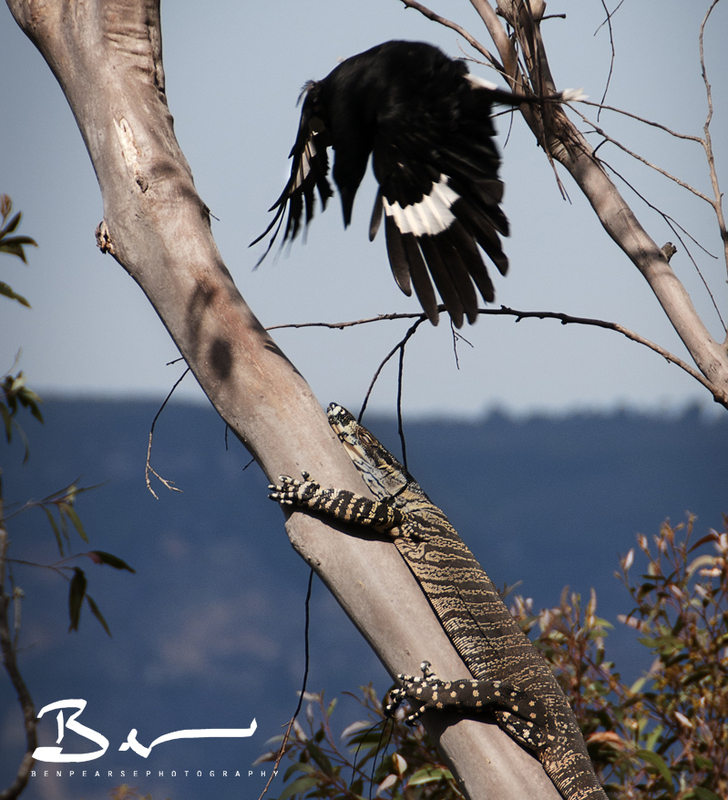 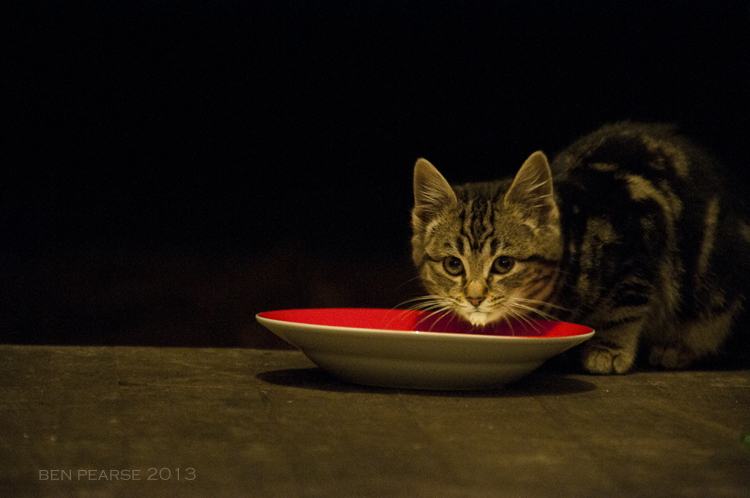 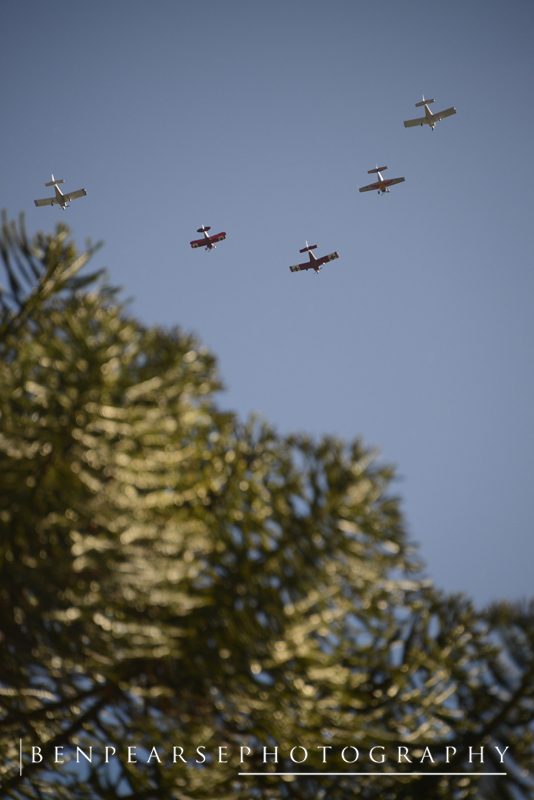 They also do make a pretty easy target if you’re trying to capture them in a photo as well. 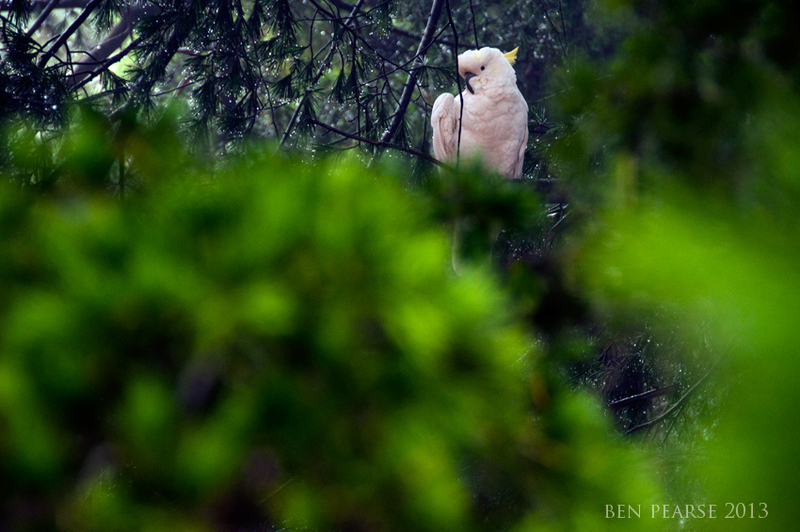 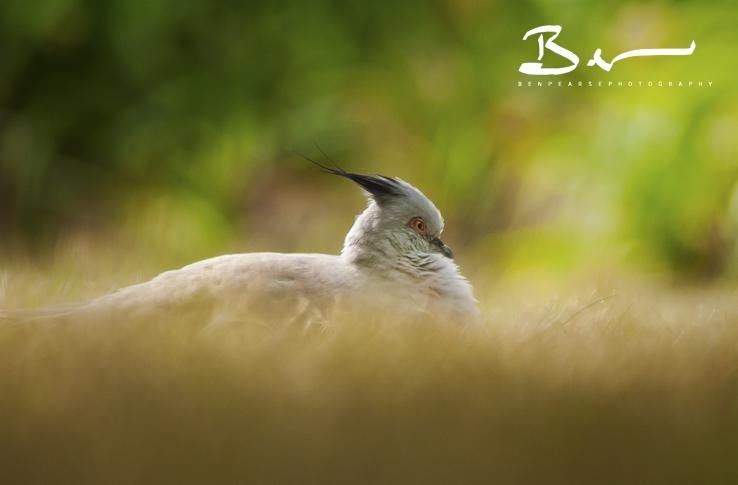 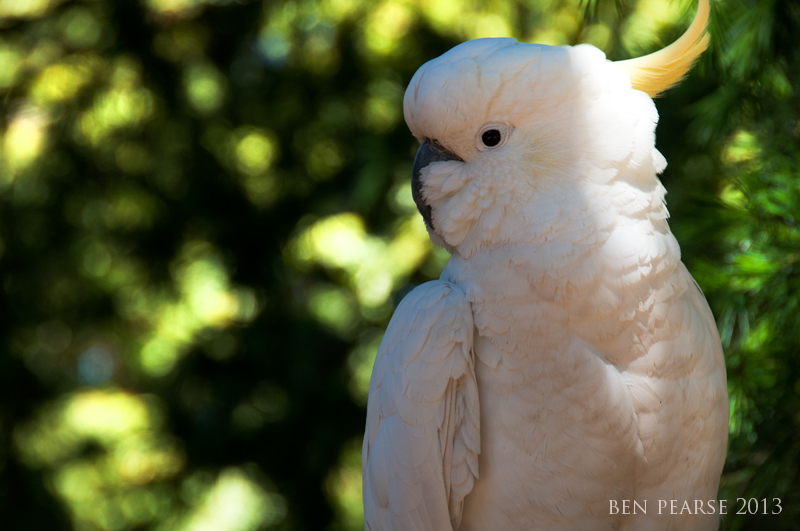 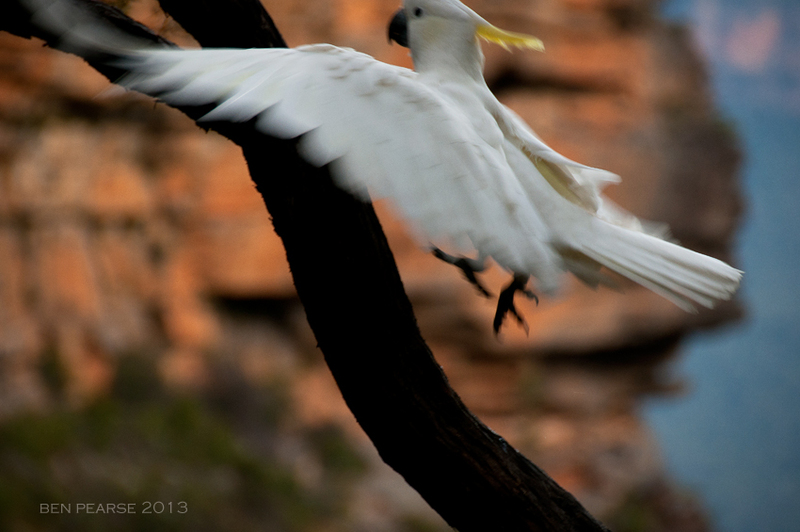 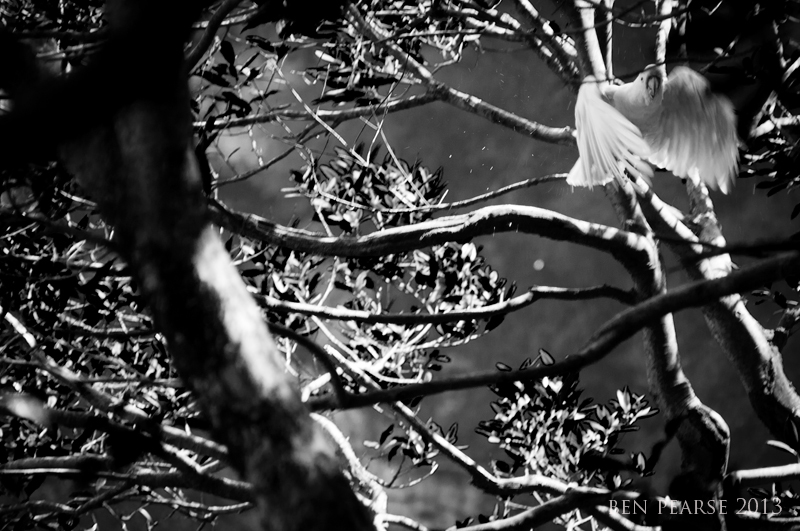 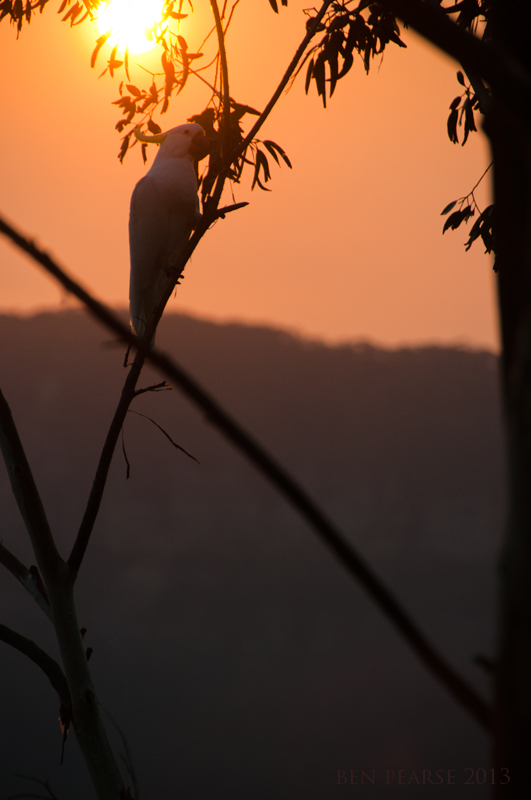 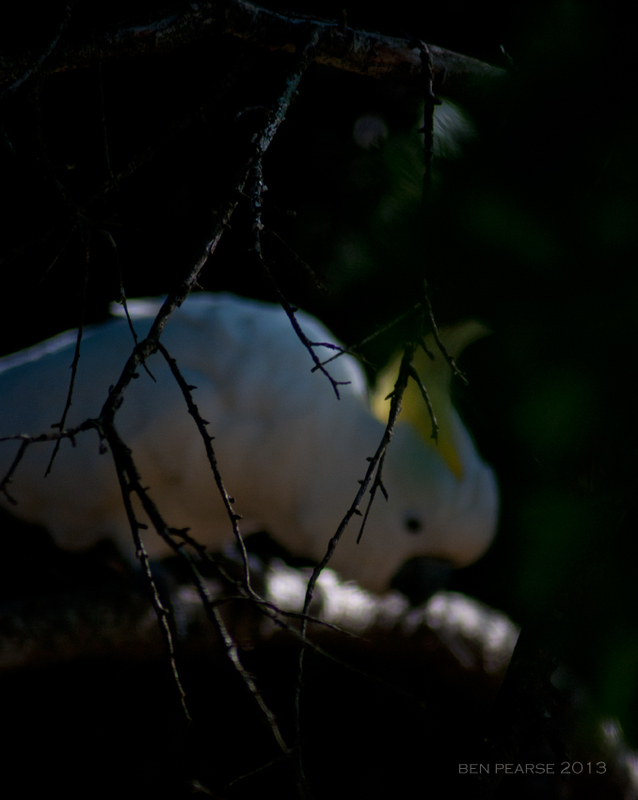 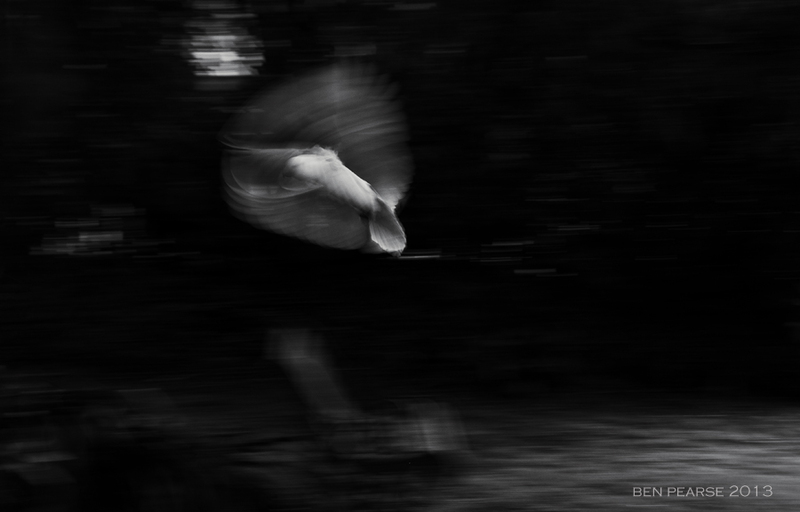 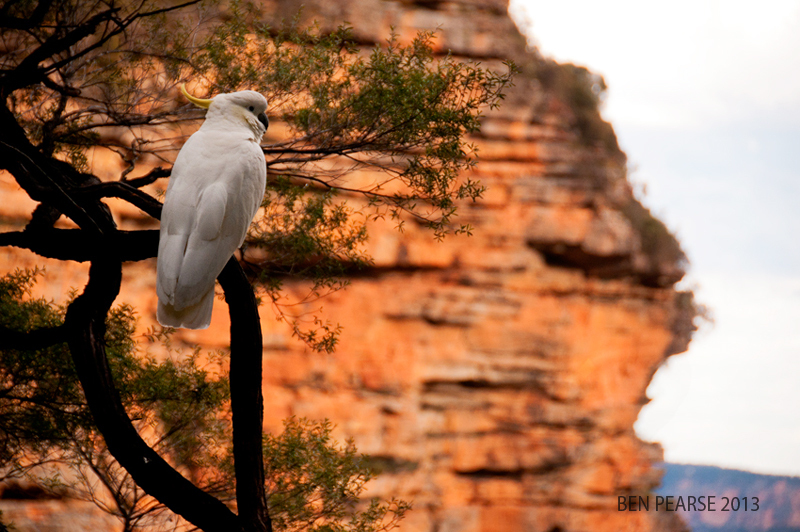 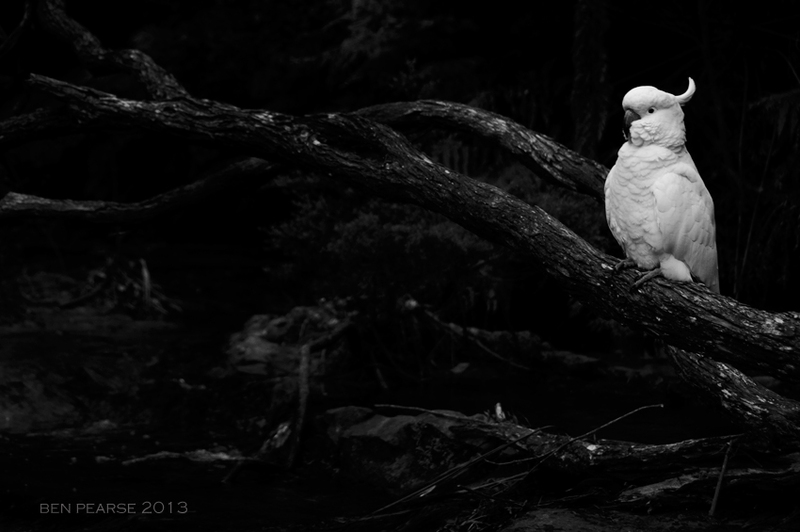 Over the years I have managed to take quite a few shots, especially of the sulphur crested Cockatoo, which is very common species throughout the Blue Mountains where I live. 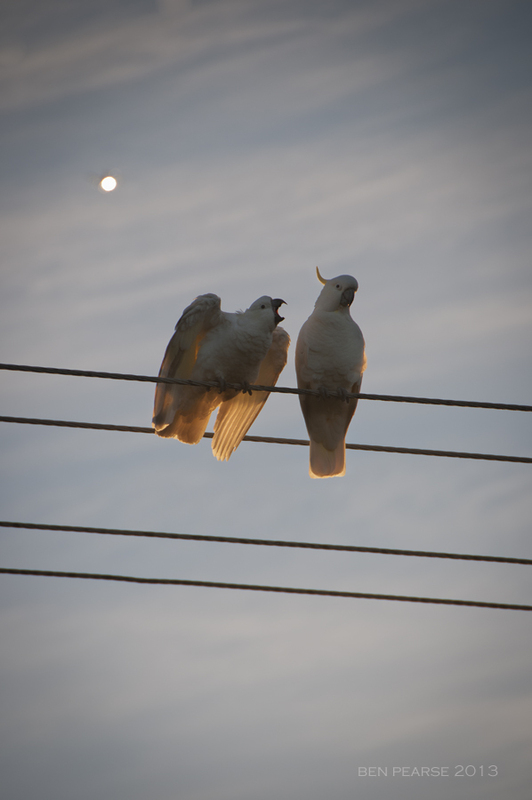 “I said, its a bit noisey isn’t it”.